You don’t always need a plan. Sometimes you just need to breathe, trust the moment, let go, and see what happens. ✨ #tututuesday#transformationtuesday .  Classes are now finished for this term. We will be back in the studio on the 23rd April. BBC launched #DancePassion, a month-long season that explores many aspects of dance. Companies from across the UK are coming together for a major on-air and online celebration of dance today. Check it out on bbc.co.uk/dance. 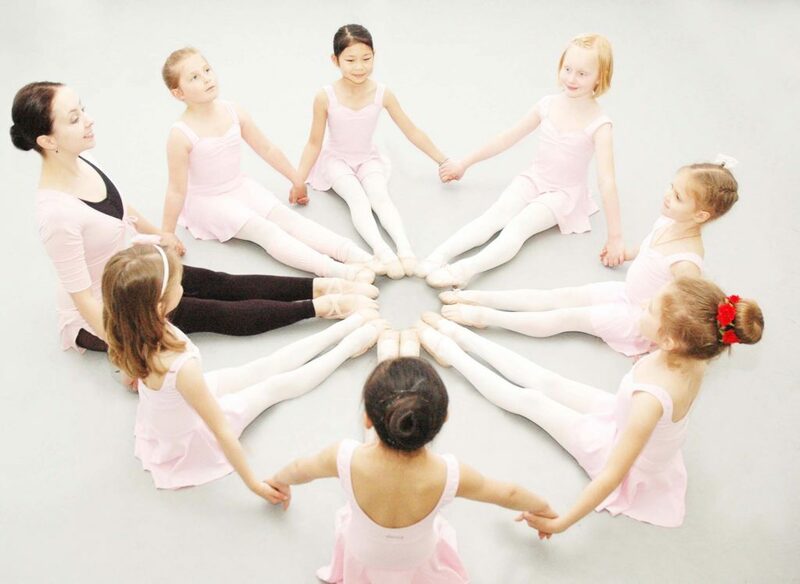 ❗️We encourage our Contemporary Ballet students to wear the uniform as this increases the sense of unity in the group and further motivates the students to achieve. 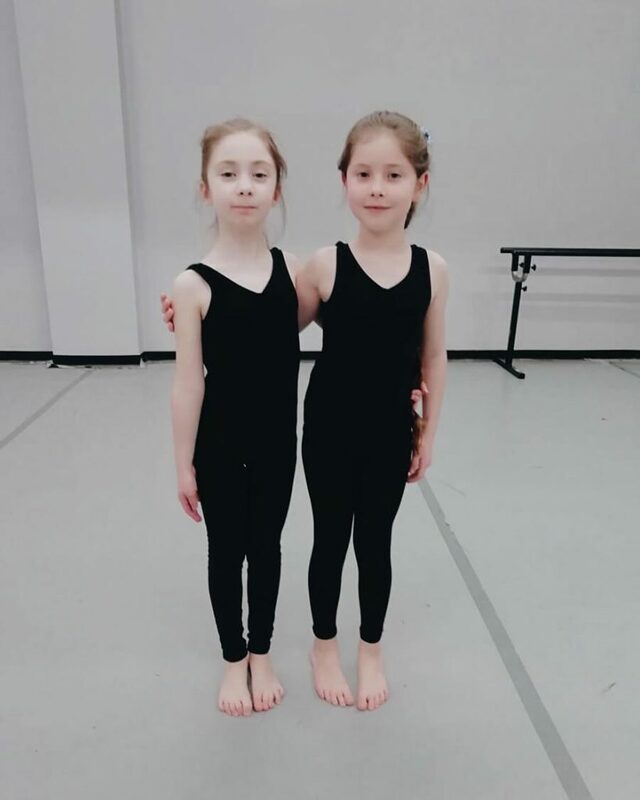 ✅ Black leotard and black footless tights for girls. ✅ Plain black t-shirt and black shorts for boys. You can buy uniform from us directly, at dancewearcentral.co.uk or at the Stage Door Dance wear shop in Bromley (218 High Street, Bromley, BR1 1PW). 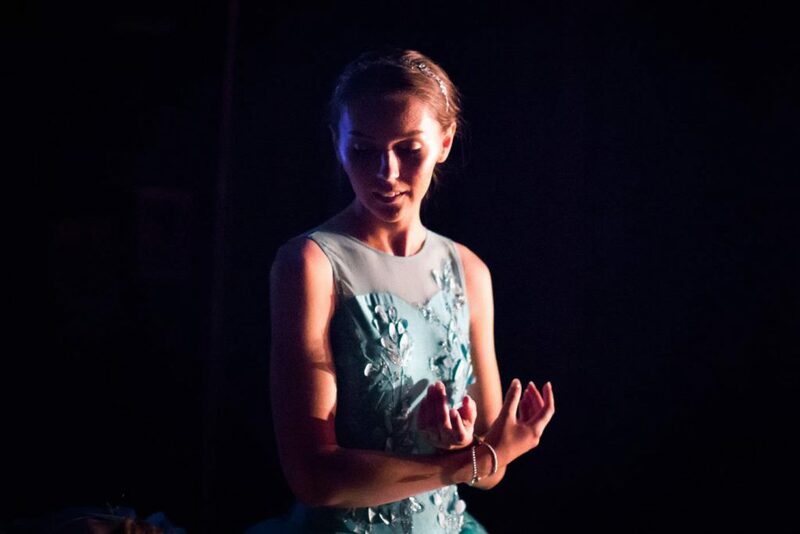 Today we’d like to introduce Valentina Suto, our fantastic Assistant Dance Teacher. Valentina was born in Uzhgorod, Ukraine. She started dancing at 4 years old at the ‘Prestige Sports and Dance Academy’, specializing in Ballroom and Latin American dance. In 2014 she graduated, with esteemed qualifications, from the ‘World Dance Sport Federation’. 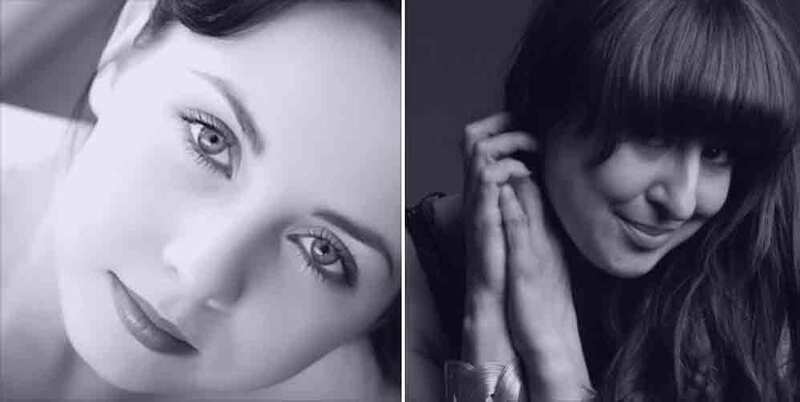 She has participated in competitions worldwide, including: Austria, Italy, Russia, Germany, Slovenia, Slovakia, Hungary and her native Ukraine – gaining numerous prizes and awards. Valentina has been a choreographer since 2011. We are very lucky to have Valentina as part of our Skylark Family. Are you ready for the new term of dancing? 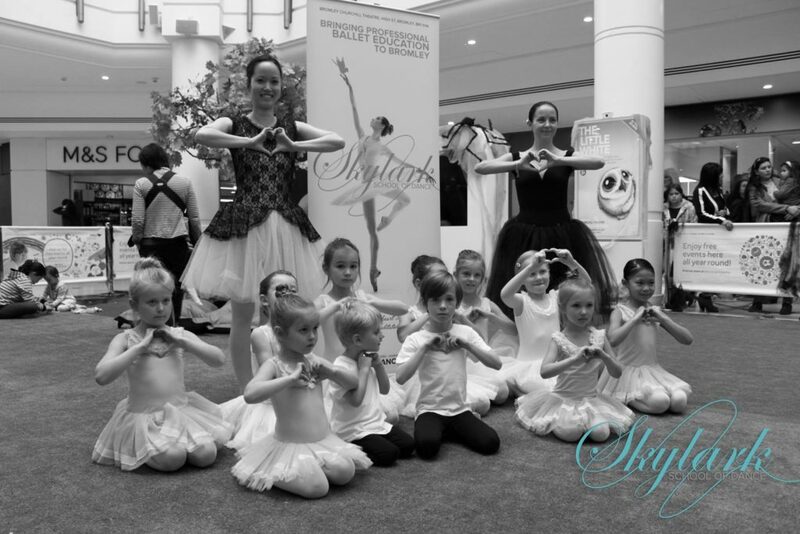 You can now purchase the Skylark uniform from the Stage Door dancewear shop in Bromley (218 High Street, Bromley BR1 1PW). Start the year as you mean to go on. Download our new timetable and don’t miss your favorite classes this term! 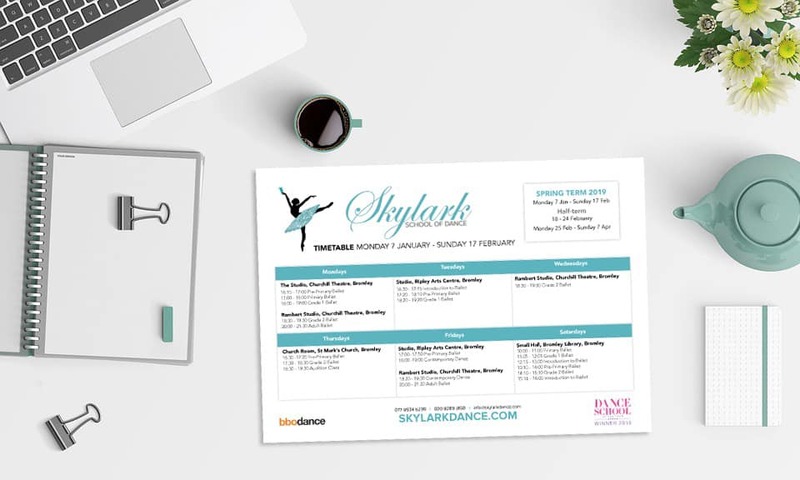 We look forward to seeing our Skylarks back in the studio on Monday 7th January. We are pleased to announce that the 2019 Skylark Scholarship program is now open for applications. 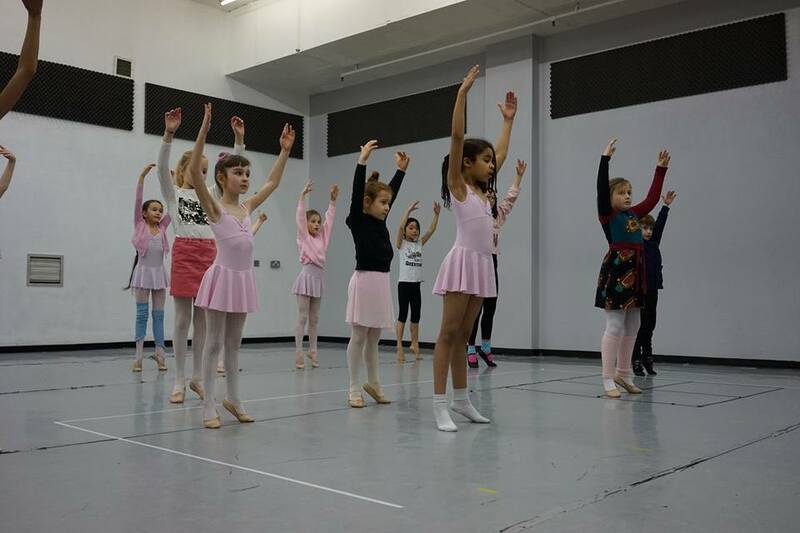 The Skylark Scholarship program was launched last year to help young dancers with big dreams get a head start on their dancing journey. We are very proud of our amazing 2018 Scholarship recipients Isabel and Dasha, who were excellent ambassadors for our school during 2018 and used the scholarship funded lessons to further develop their talents. 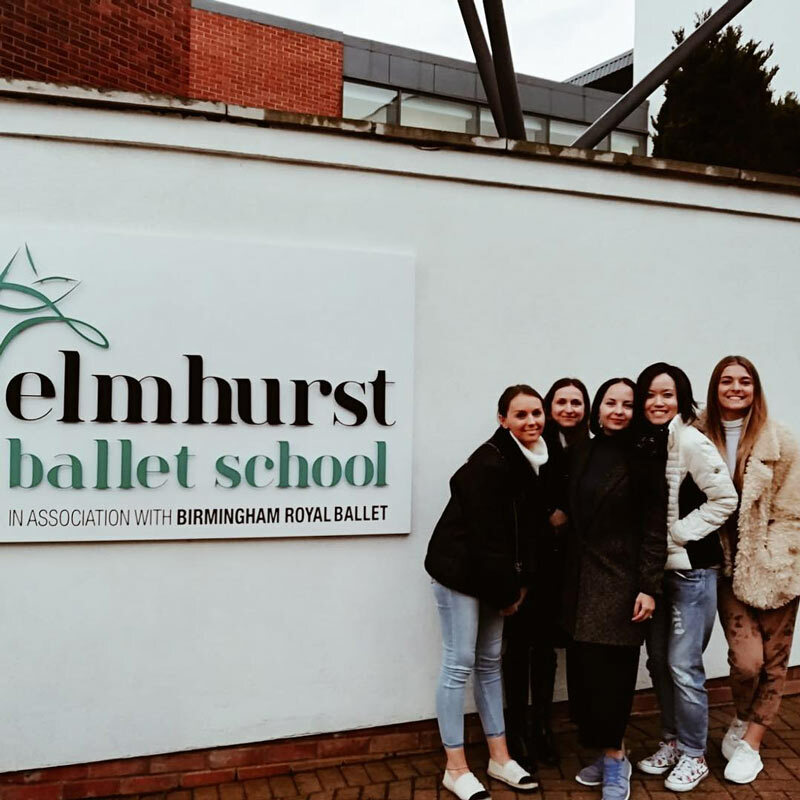 The Skylark team spent last weekend at the Elmhurst Ballet School in Birmingham, with bbodance. We expanded our knowledge and learnt from the best in the industry. One of the highlights was attending a business seminar with the amazing Anne Walker MBE. Such an inspiration; feel like we can take on the world now. Our Skylark team attending BBO scholars weekend in Birmingham The first day of training is complete. We look forward to tomorrow. 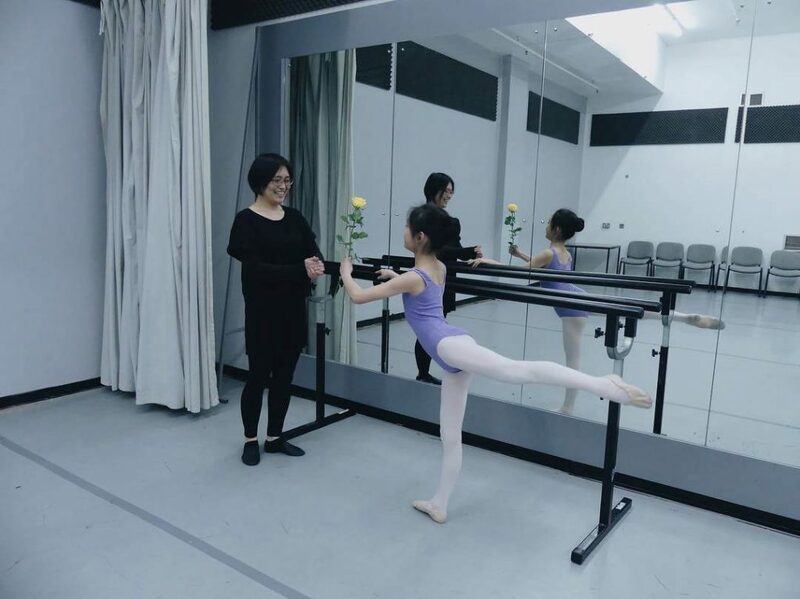 ⭐️ Born in Korea and raised in Japan, Soonja started taking ballet classes from the age of 4. She moved to London when she was 16 and studied at the London Studio Centre. It’s hard not to get inspired when surrounded by such beauty! 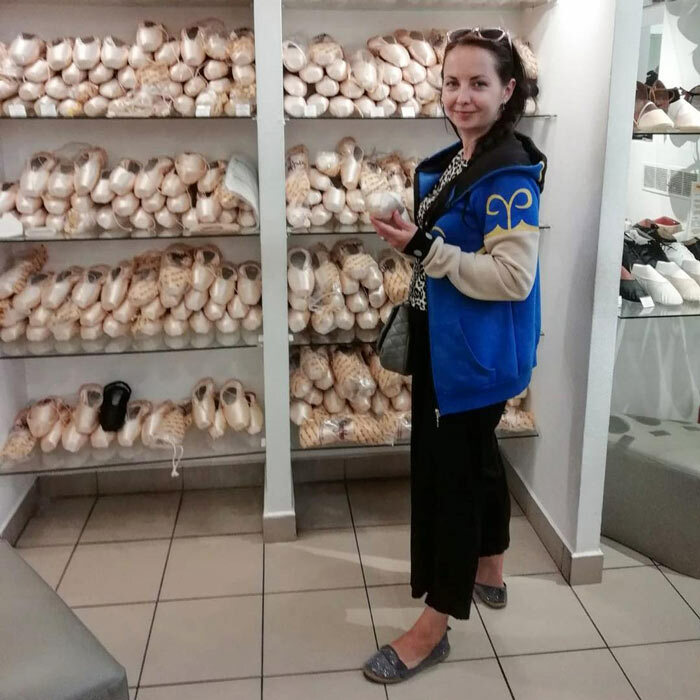 Grishko shop in Moscow @grishkoworld is like a candy store for a dancer . 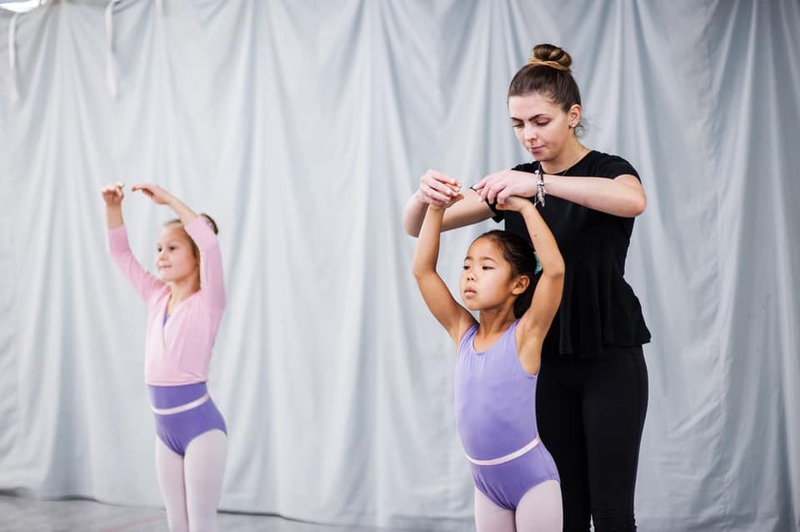 “I was really impressed with the students’ level of focus and engagement with the class!” — Award-winning Ballet teacher & TQ alumna Anya Zhavoronkova of Skylark School of Dance loved working with our students during last Sunday’s masterclass. Hope you all had fun, & we look forward to seeing you next time! 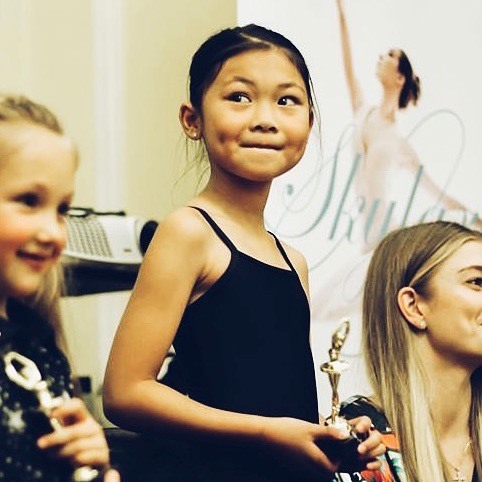 Skylark School of Dance celebrates its second birthday today, but has already accomplished what many would in a decade. In two short years our school has: ✅ Become an artistic pillar of the Bromley, supporting school outreach, community events and entertaining local audiences at two major events at the Churchill Theatre. 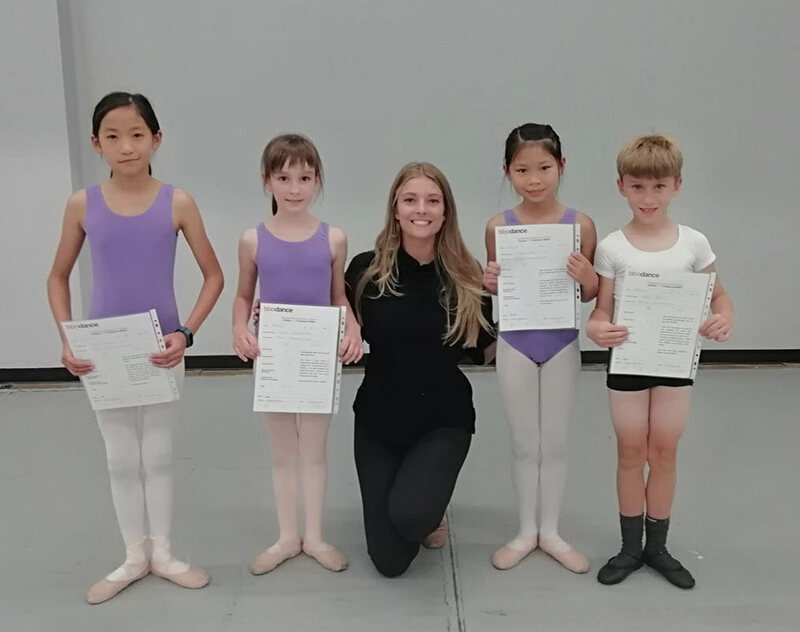 ✅ Achieved impeccable academic exam results, with its students gaining distinctions and merits across the board with the British Ballet Organisation. We were also able to launch the Skylark Scholarship programme to accelerate the development of promising students. 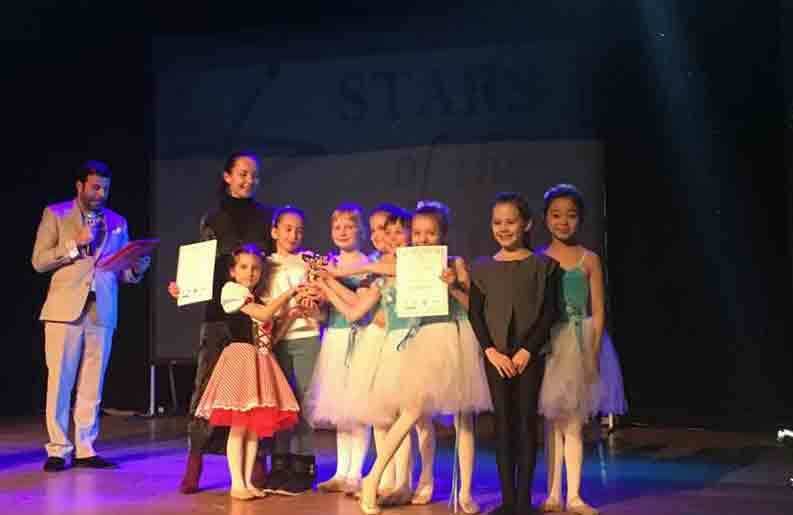 ✅ Been dubbed the nation’s Rising Star, through One Dance UK’s 2017 Teaching Awards, won silver at the Stars of the Albion Grand Prix and – last but not least – won the Dance School of the Year 2018 Award, for best mid-sized school in the UK (100-200 students). 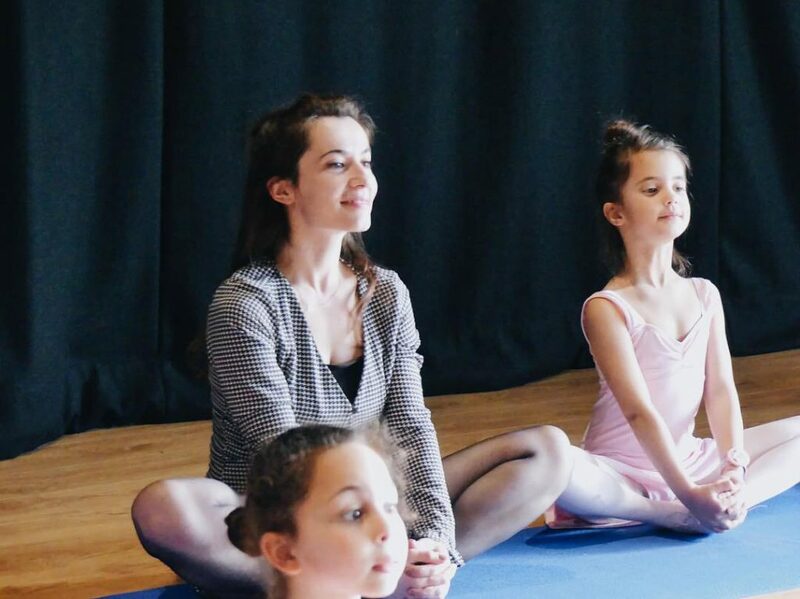 Our Director, the source of the ballet obsession – Miss Anya has extraordinary professional credentials and passion for ballet. However without our Skylark family none of this would be possible. So we want to congratulate all of you: our teachers, colleagues, amazing involved parents and of course our students – the Skylarks. Happy Birthday to you all! 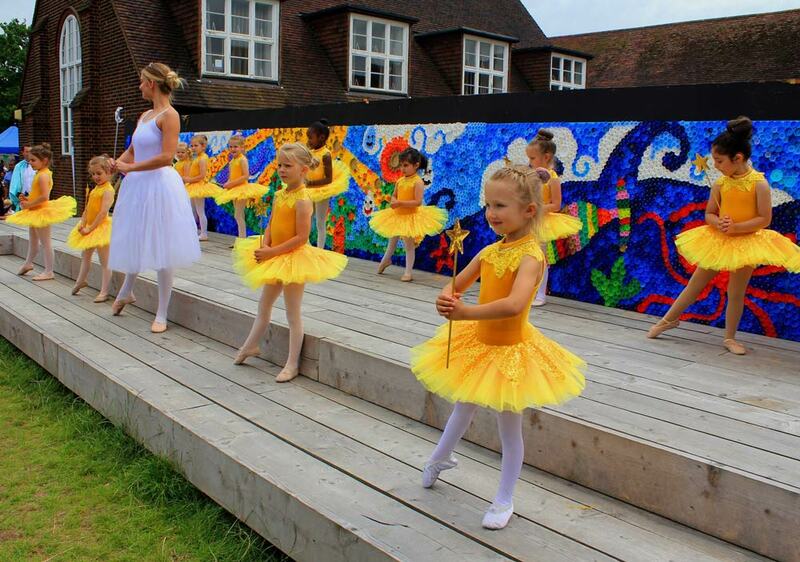 It’s never too early to start planning your dance activities for the new academic year. Don’t miss an exciting opportunity to work with our school Principal Miss Anya at the bbodance HQ in London this September. Dear Skylarks, the new academic year is just around the corner and our timetable is now available to download. We look forward to seeing you all in a couple of weeks! 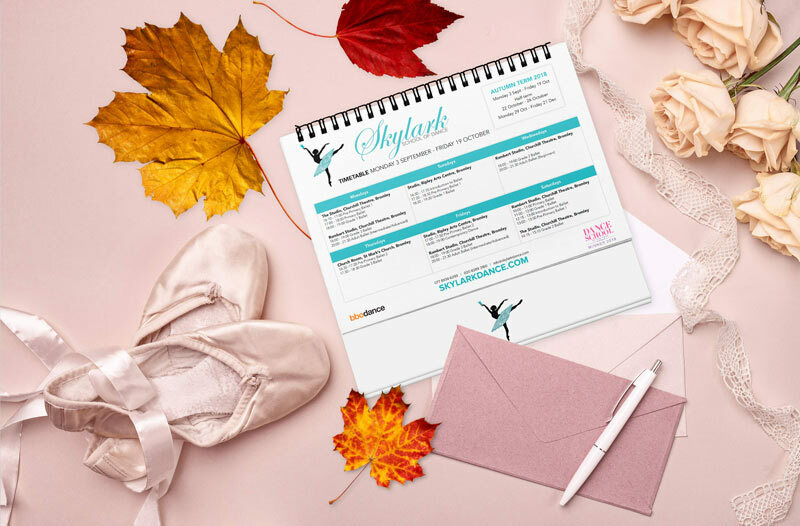 What our students say about us: “Skylark adult ballet class was the first dance class I’d ever taken, and I am so happy I did. 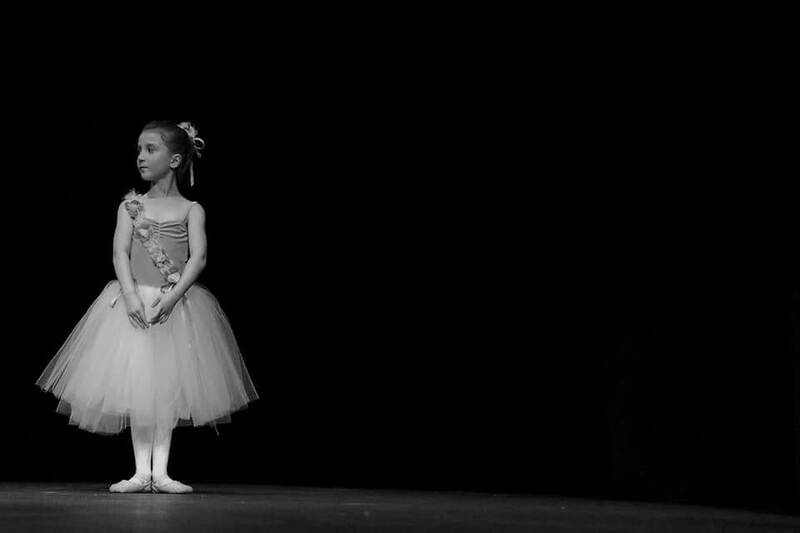 Since then I have completely fallen in love with ballet and even had the opportunity to dance on stage in our own take of ‘Giselle’. The classes have improved my confidence, posture and fitness. It’s also a great way to meet new people, sharing something that we all enjoy so much in such a warm, friendly environment” – Remi. Join our adult ballet classes this September and be a part of our ever growing community. 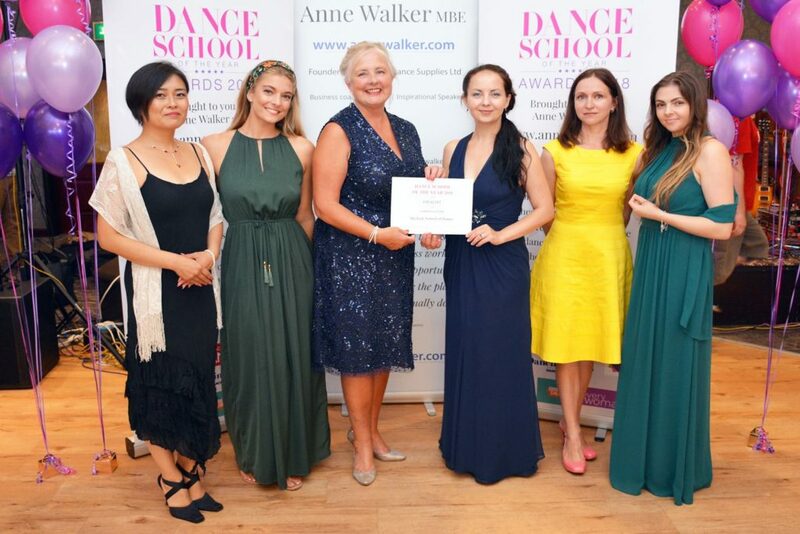 We are delighted to announce that Skylark School of Dance won the prestigious Dance School of the Year 2018 Award, for best mid-sized school in the UK (100-200 students). It’s amazing to be recognised in such a strong field; so many great dance schools, stories and projects. We know how hard it is to make a dance school a success – the blood, sweat and tears – every dance school deserves one of these! We are so lucky to be taking this trophy back to Bromley. 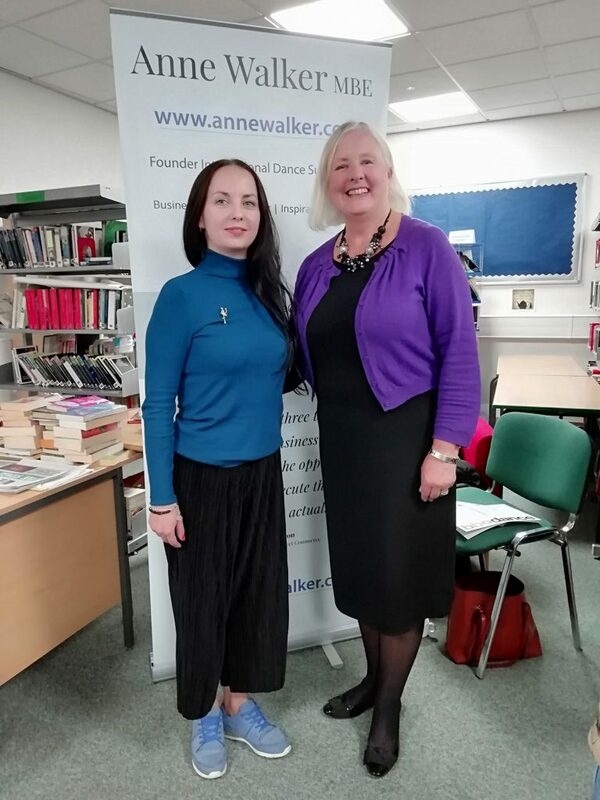 Thank you so much to the inspirational Anne Walker MBE and the DSOTY team, judges Brenda Last OBE and Terry Etheridge, as well as special guest Angela Rippon CBE. We had the best time at the awards ceremony! And of course, huge thanks to our wonderful students, “the skylarks”, their supportive parents and our fantastic team; without them there’d be no school. We feel truly blessed to be working with such amazing people – we dedicate this award to all of you! Through the eyes of a dancer. Just a glimpse of the emotions backstage at the Skylark Gala. 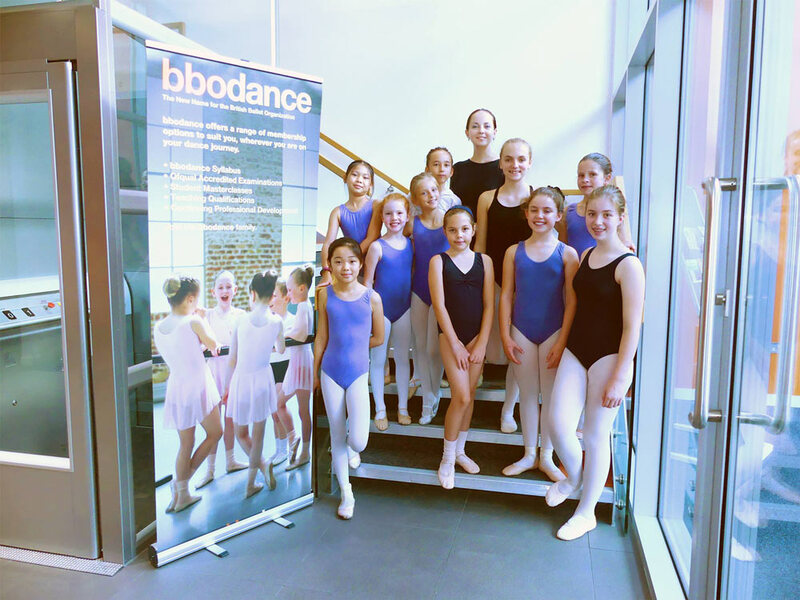 Congratulations to our students for completing their first ballet exams yesterday! ✨We are so proud of you! We are officially the best Dance School of the Year 2018, in the 100 to 200 students category! Thank you everyone! What a week it has been! It is so hard to put into words the emotions that we all felt on Thursday. 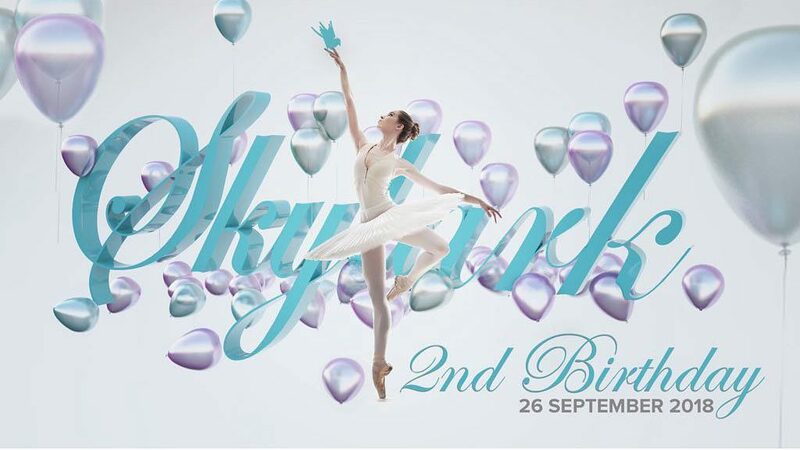 After all the months of hard work and planning, the Skylark Dance Gala finally came to life. It was a huge success, a magical showcase of our school’s talent. We would like to thank you all for coming to the show and celebrating with us. 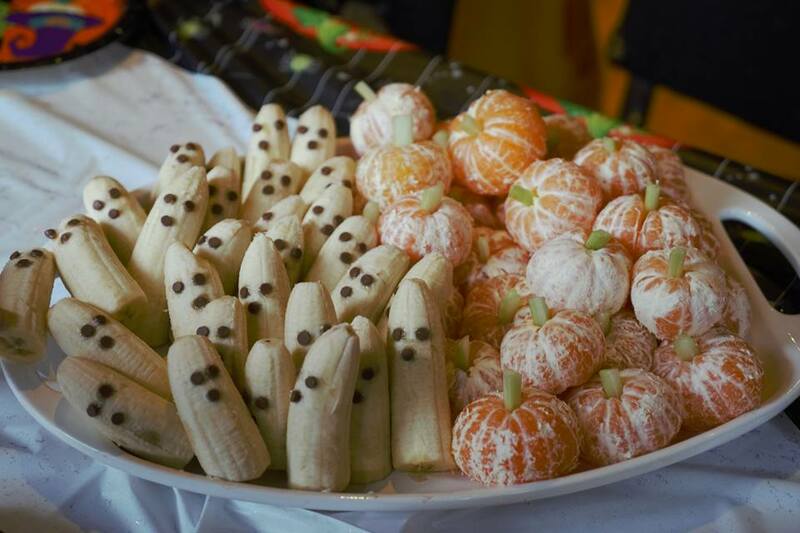 We hope that you had a wonderful time. 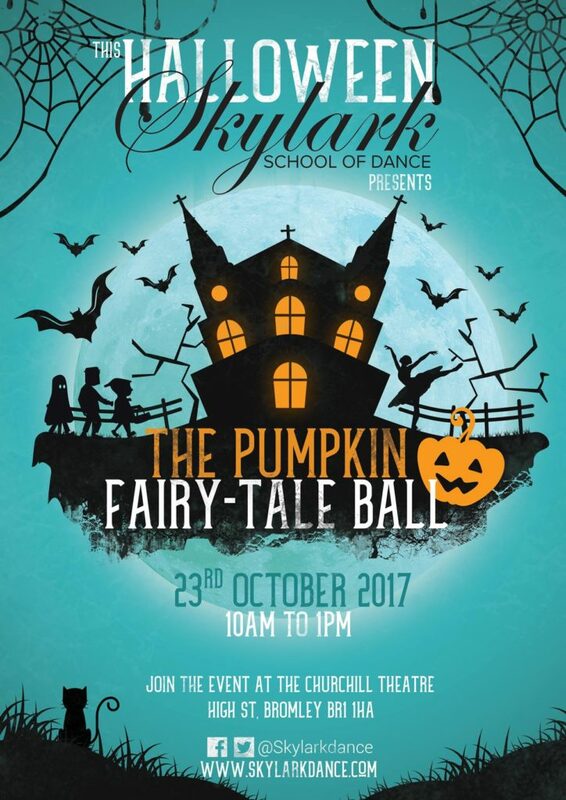 Thank you to: all our Skylarks, for dancing their hearts out – we are incredibly proud of all of you; all the professional artists who took the time out of their busy schedule and came to support the show; our teachers, staff and parent volunteers working so hard behind the scenes, together with the amazing Churchill Theatre’s Creative Learning department and technical team. 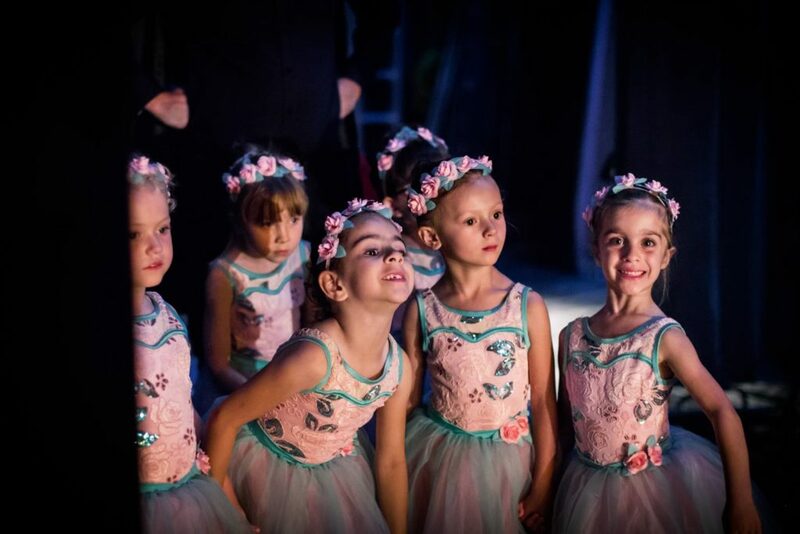 You are all part of the Skylark family, one that has big dreams with the heart and talent to make them come true… we dedicate this Gala to you! Back from the International Dance Festival in Brussels. Our first school trip abroad was a huge success and immense fun. 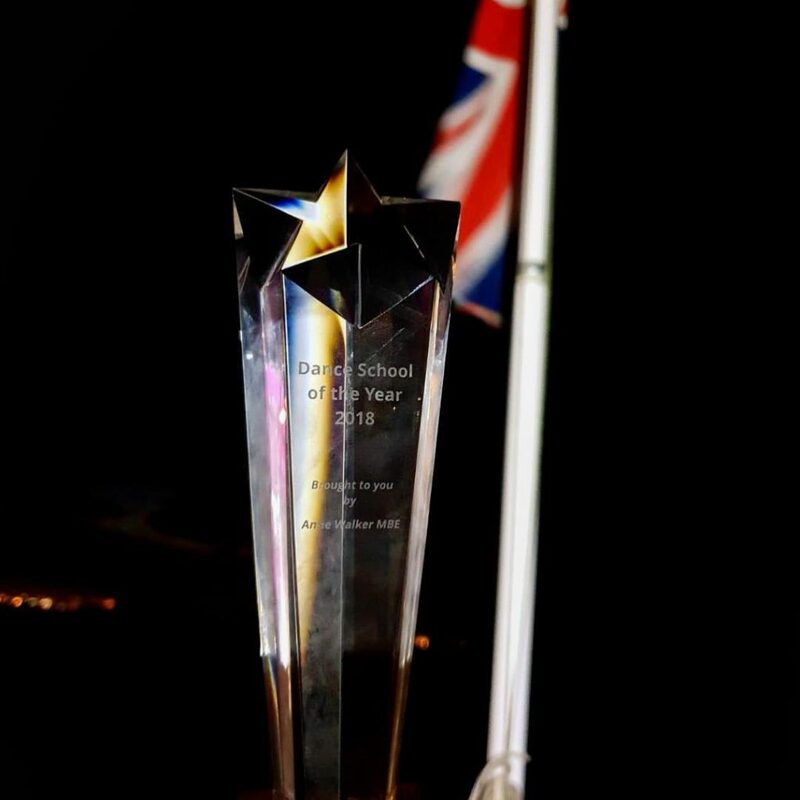 Congratulations to all our amazing dancers for making us proud and representing the UK; you are superstars in the making! 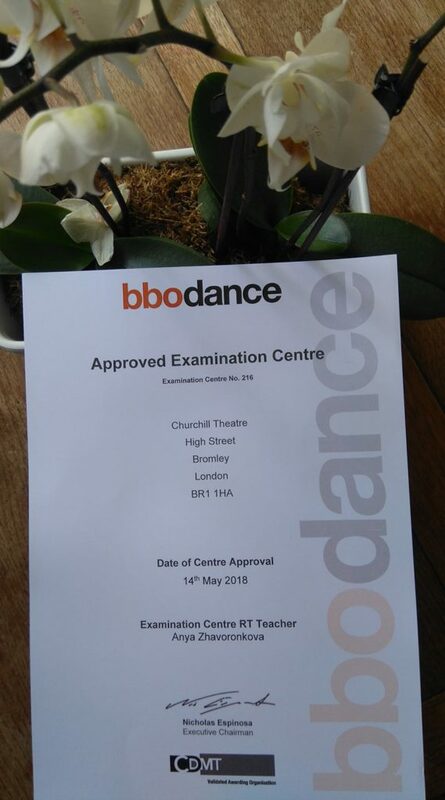 Amazing news…our school has been approved to hold bbodance Graded and Vocational Examinations in all dance genres. Congratulations to all our wonderful teachers! We look forward to our very first exams this July. 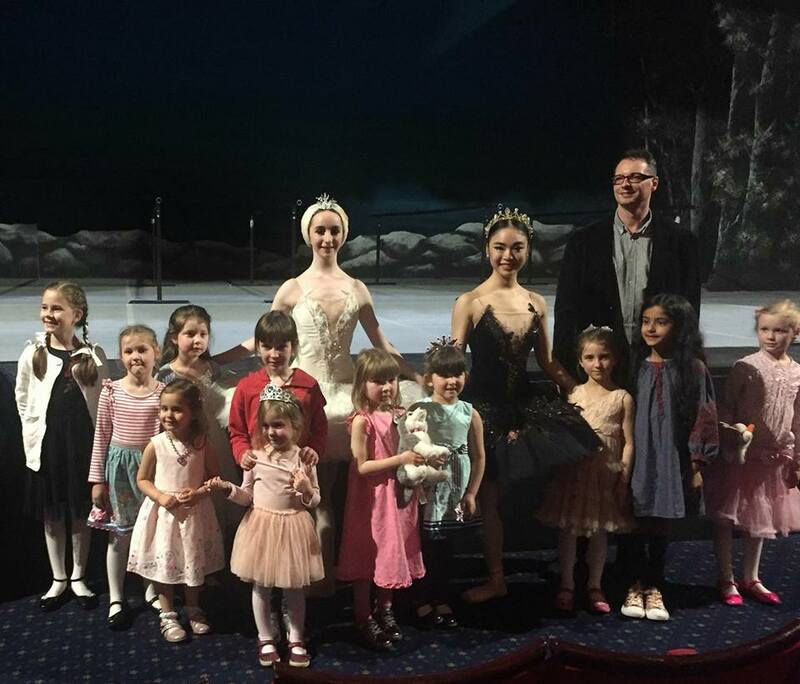 What a great way to finish the holidays; attending ‘My First Ballet: Swan Lake’ at the Churchill Theatre, followed by a private audience with dancers from the English National Ballet. Great inspiration for the new term. 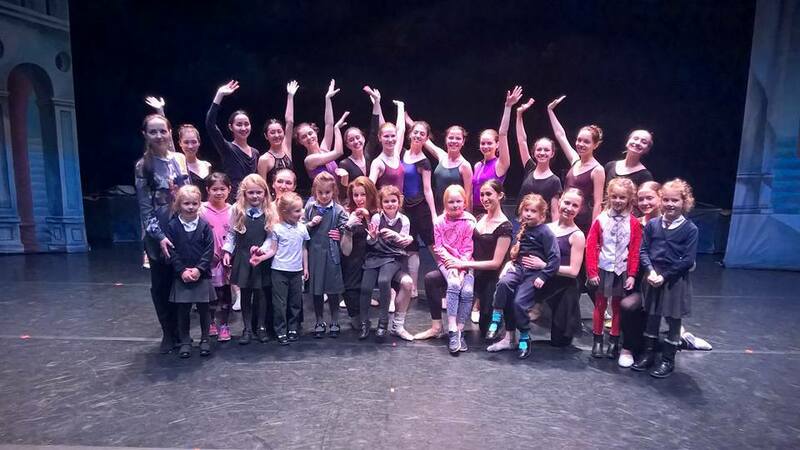 Thank you to English National Ballet for this amazing opportunity, we loved it! Last week we were privileged to see this wonderful dance company perform the ‘Mid Century Modern’ at Sadlers Wells. Such an incredible performance and people! 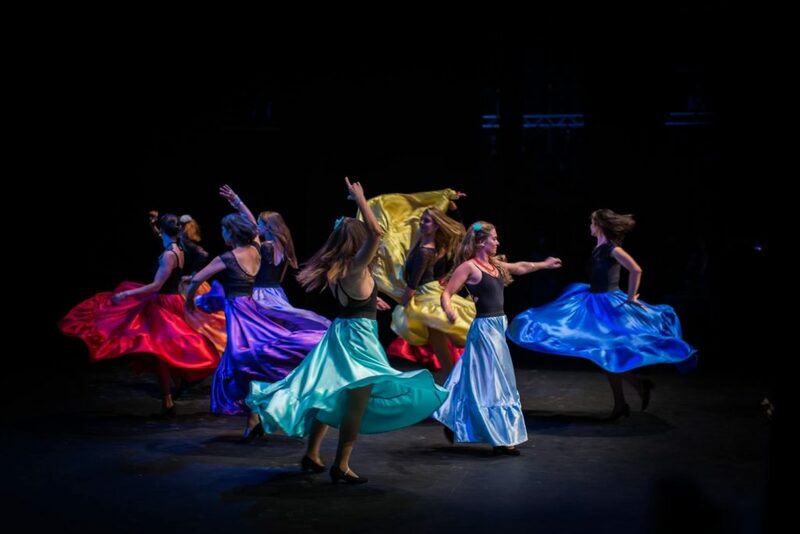 New Stars are born, as our students won silver at the international ‘Stars of the Albion – Grand Prix 2018’ last night! Today was the last day of half-term and we left on a high! 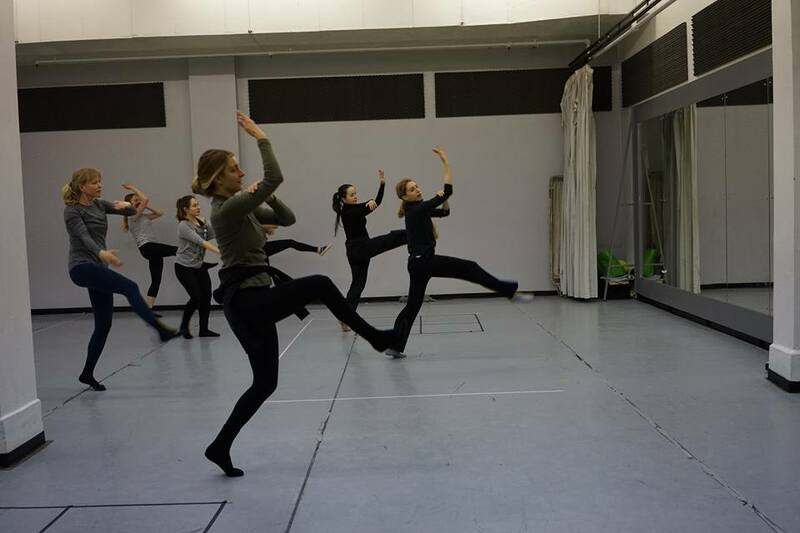 Hosting a contemporary dance workshop, led by the incredible Elly Braund, from the world famous Richard Alston Dance Company. So much fun and definitely a day to remember. Thank you to all our students, you were amazing! Now time for a well deserved break. Have a fantastic holiday! Where there’s a wish, there’s a way! 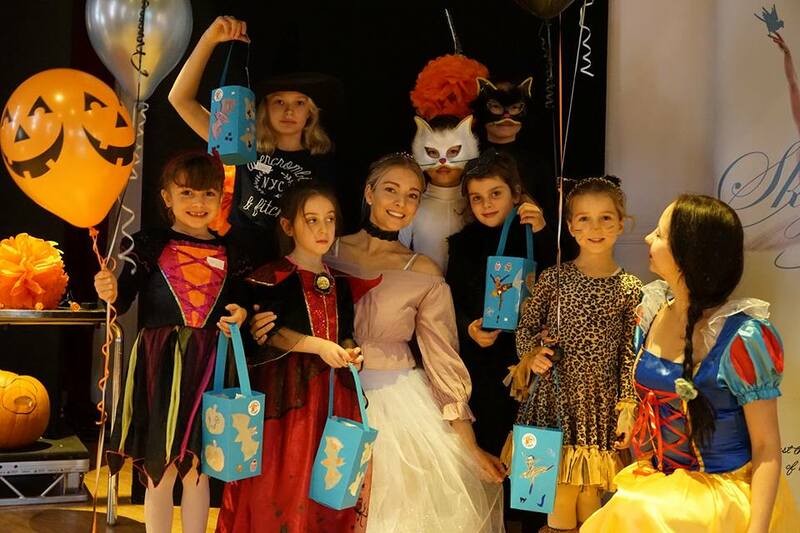 On Saturday over 100 Skylarks and their families joined us at the Churchill Theatre for the iconic ‘Nutcracker’, performed by the wonderful Saint Petersburg Classic Ballet Company. Pure Magic! We wish you all more magical moments and memories throughout the New Year. Preen your feathers little Skylarks, it’s time to celebrate! Happy New Year to our ever growing family! Spread your wings and fly even higher in 2018; we hope that all your dreams come true. P.S. 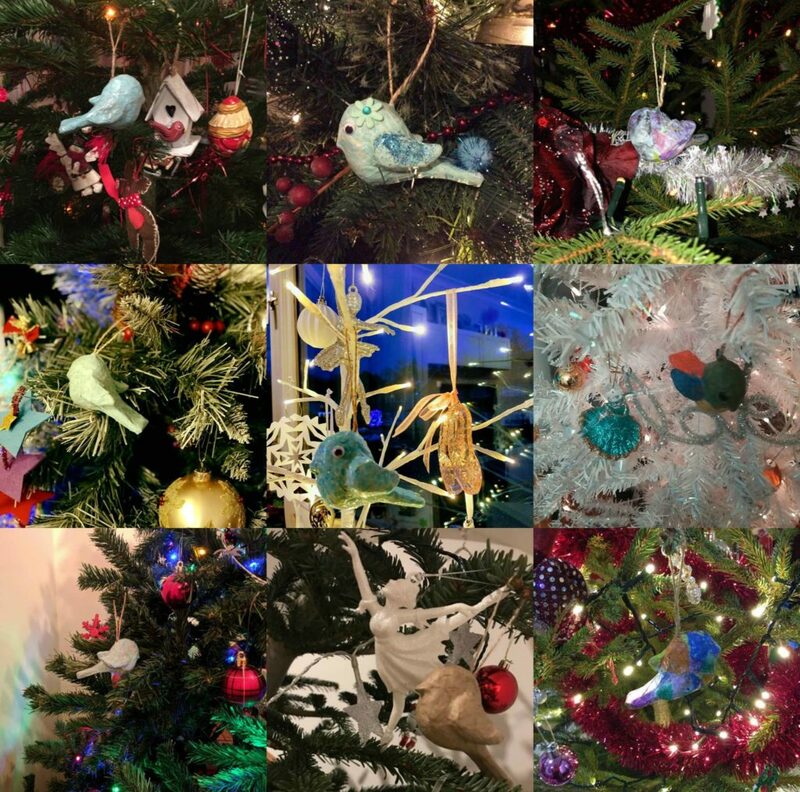 Thank you to students for sharing their decorated Skylarks. Here are a few from the collection. 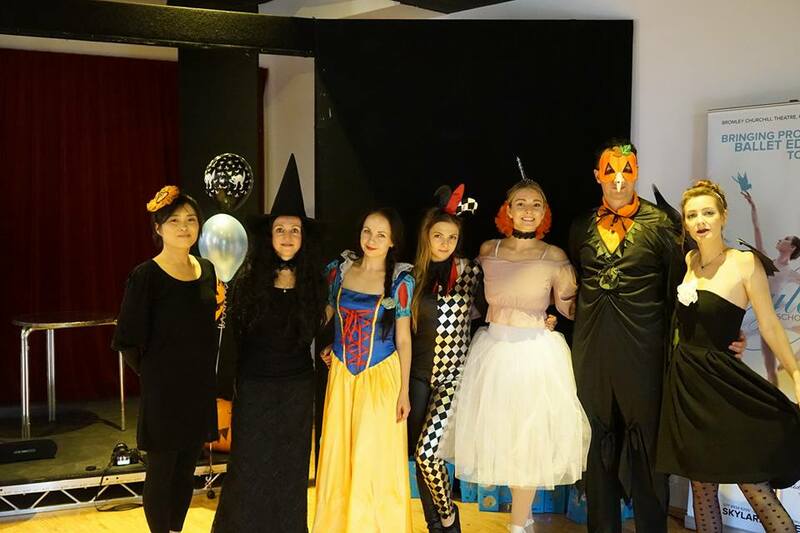 Last Sunday we were guests at the Anna Davydova Dance School’s Christmas show. 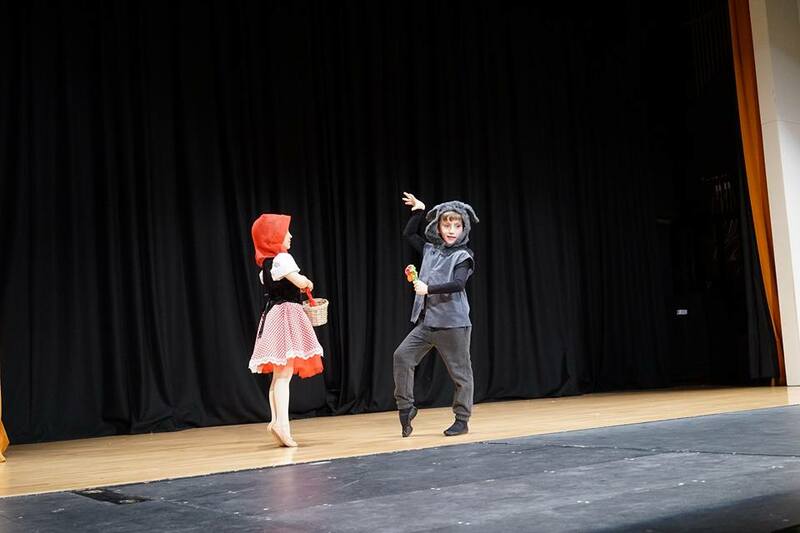 Two of our dancers performed their Red Riding Hood piece, alongside the school’s students and professional artists. Congratulations Mila and Zach, for putting on such an amazing performance and representing the Skylarks! During our school’s first anniversary we held a Talent Show for our students to celebrate their achievements over the past year. 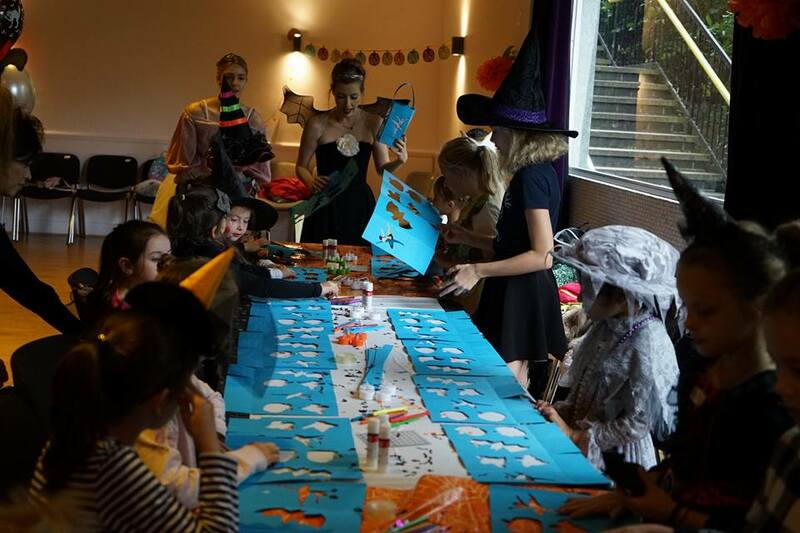 Everyone did incredibly well and, like with any birthday party, received fantastic gifts. 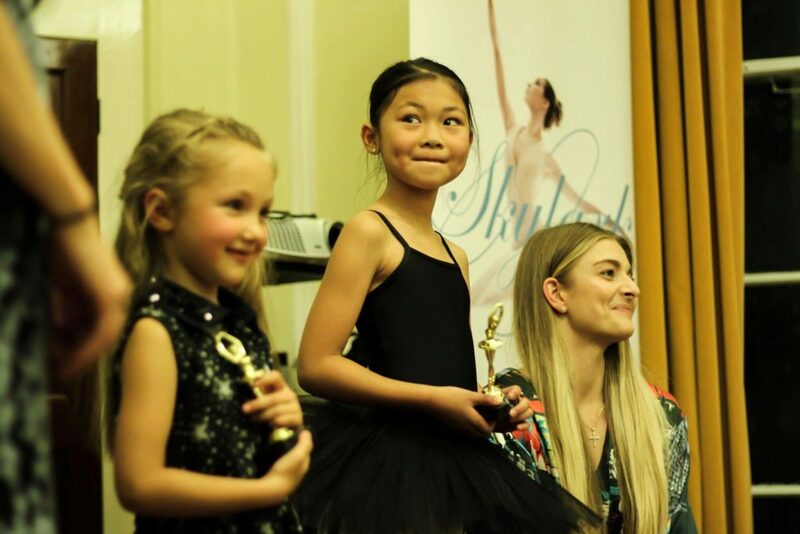 The biggest present was the inaugural Skylark School of Dance scholarship that went to two beautiful dancers Daria and Isabel; we hope this will help you to achieve your goals and dreams. Congratulations! On Saturday we celebrated our school’s 1st birthday. Thank you to everyone that joined us to share this magical day. Birthday wishes do come true! Pictures are worth a thousand words. 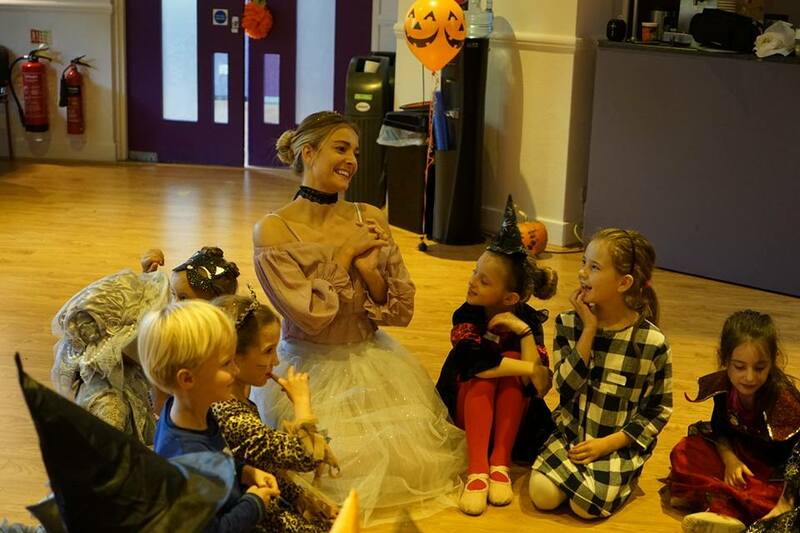 What an amazing day to launch our very first ballet workshop ‘The Pumpkin Halloween Fairy-Tale Ball’. 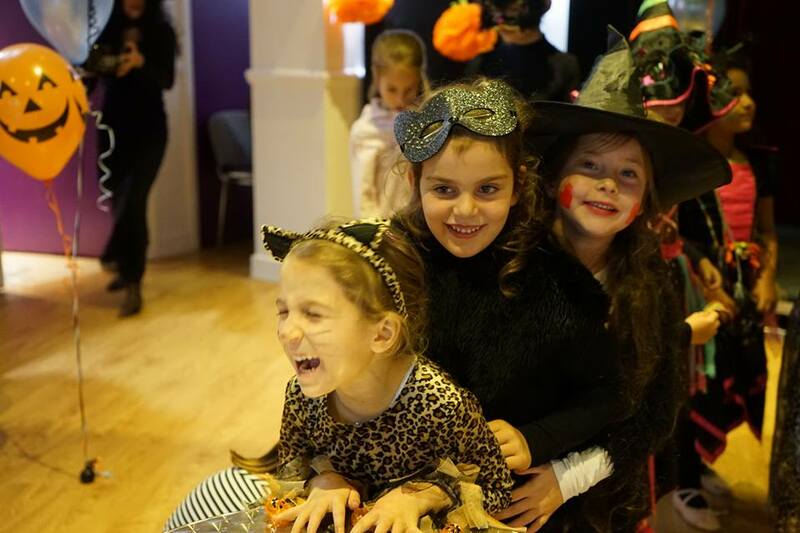 We danced, we created, we had fun…a perfect way to start the half-term break. 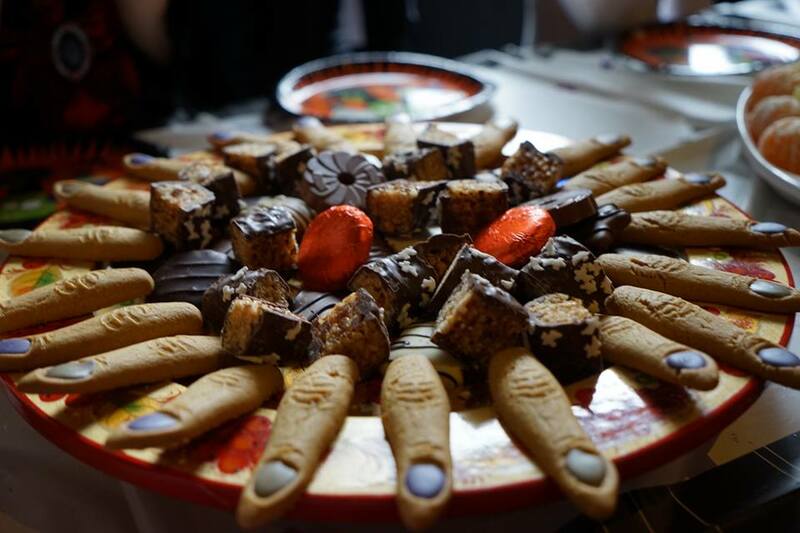 Thank you to all our wonderful guests that celebrated with us and to our incredible Skylark team; you’re the best! 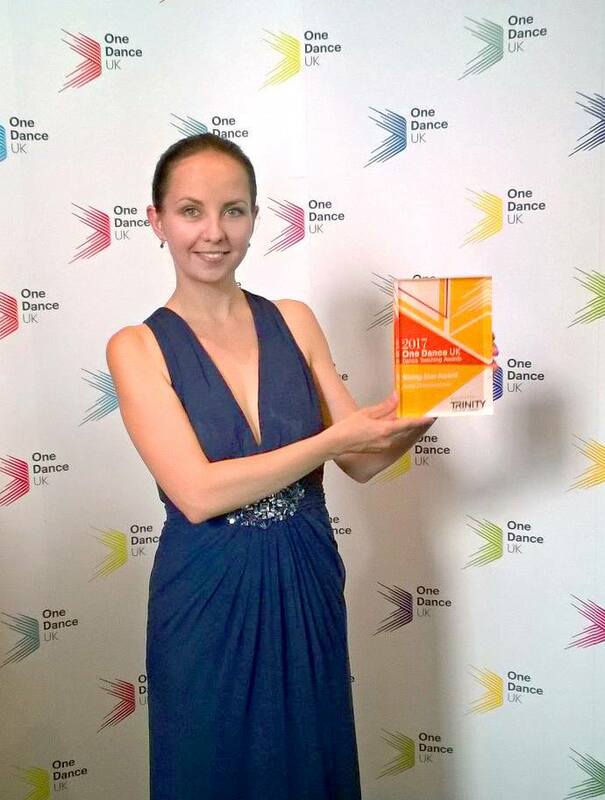 bbodance were thrilled to learn that its very own Teaching Qualifications alumni and Registered Teacher Anya Zhavoronkova has been awarded One Dance UK’s Rising Star Award. 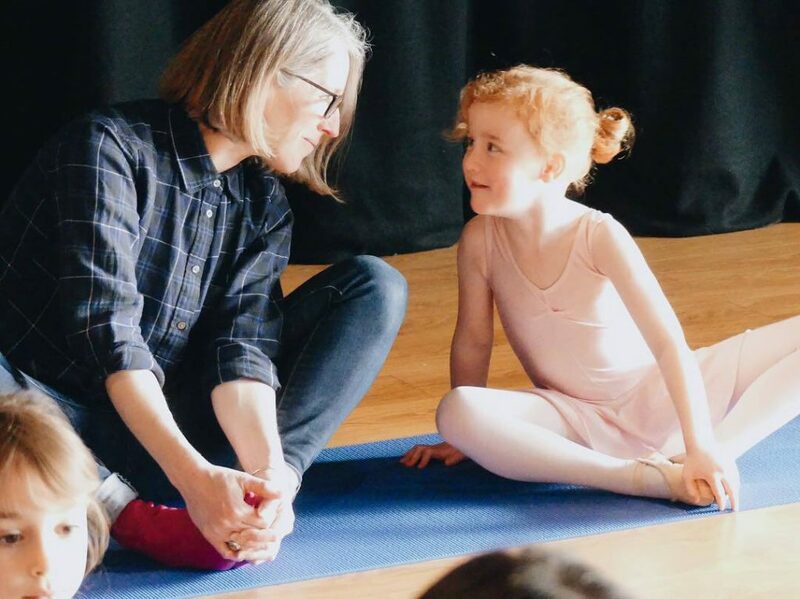 One Dance UK’s newly-launched Teaching Awards recognise high quality dance education and dance opportunities for children and young people across the UK. 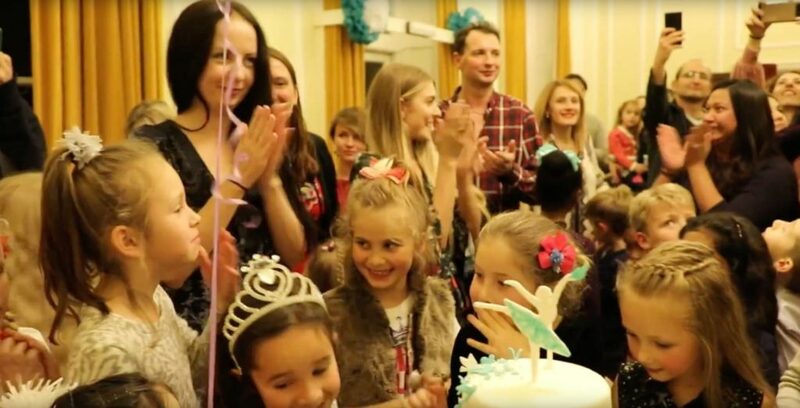 After having completed her bbodance Teaching Qualifications in 2016, Anya set up Skylark School of Dance in Bromley, Kent. 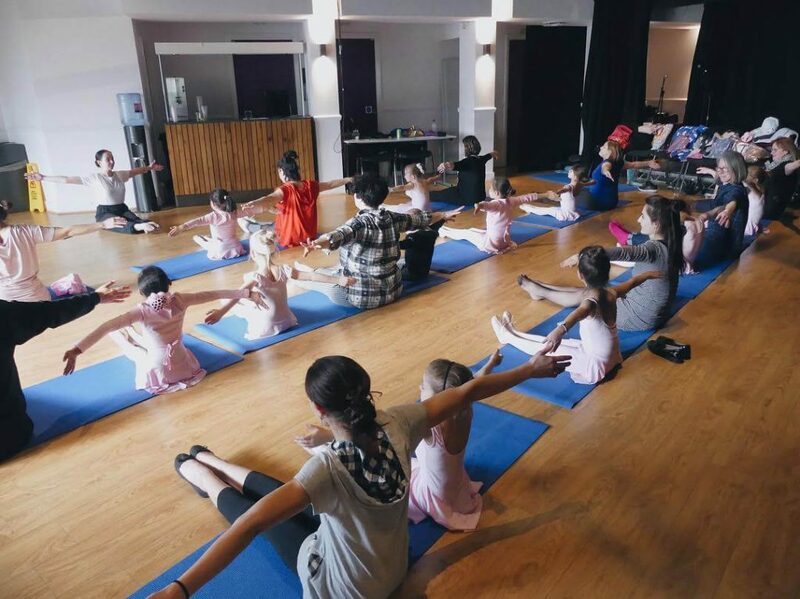 Within a year, what started as a few mats in a civic hall, is now a bustling dance school with over 70 students. This week we met Anya to find out more about her teaching practice, inspirations and goals. bbodance: have you always loved dancing? Anya: As far back as I can remember, I’ve always loved dancing. But most of all I loved getting other people to dance. I was known in my neighbourhood as the “precocious choreographer”- my hobby was rallying people together for impromtu dance routines! Anya: I was born in Moscow but spent a lot of my youth in Russia’s old capital, Vladimir, and in the countryside. I draw so much of my inspiriation from my motherland, the culture, nature and its people. I know Russian politics is always in the news, but if you look below the surface there is so much more [to the country]. bbodance: what insipires you to teach? Anya: it might easier to begin with who inspires me… my son. 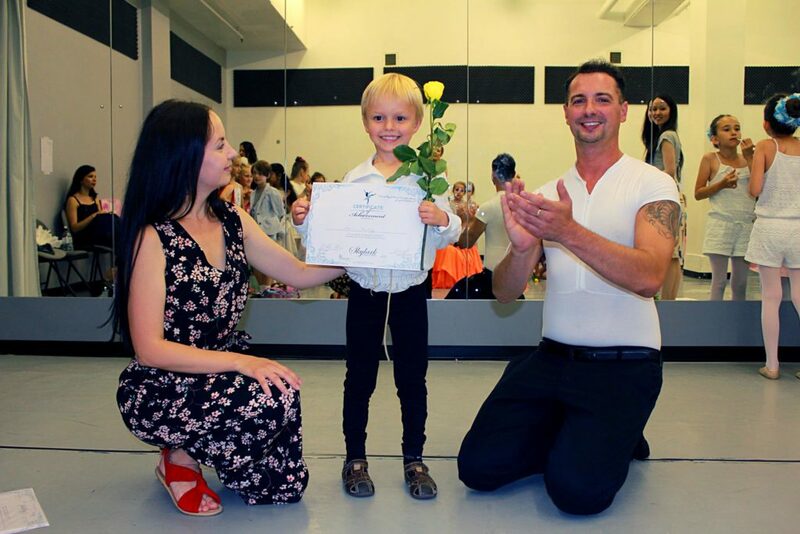 Before my son came along, my professional dance career was cut short due to health issues. I took on a completely different career in jewellery and fashion. So, I started to build up all these doubts about returning to teaching. The arrival of my son was like an epiphany. I was signing his birth certificate and I had to list my occupation. I just had to write ‘ballet professional’. You know- it’s a document that he will carry with him forever! So I had to face my fears. 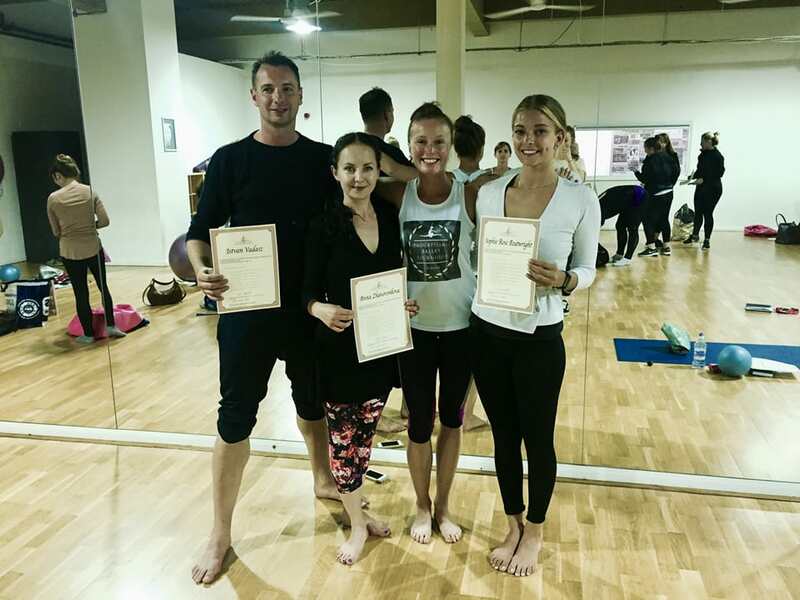 A month later I enrolled on the bbodance teacher training course. 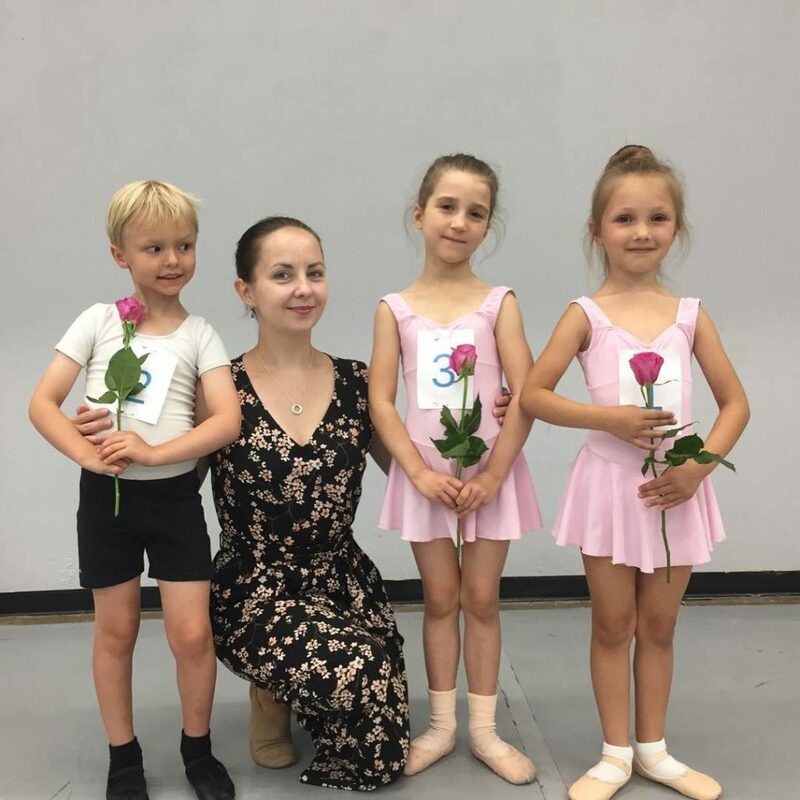 Shortly after I took up a job with the presitigious Natalia Kremen Ballet School, and then within a year I had opened my own school. In addition, the joy and benefits dance has brought to my life; the art, the fun, the life-long friendships. Of course I want to offer that to others. I used to think being on stage was the pinnacle, but this is easily the best job in the world. 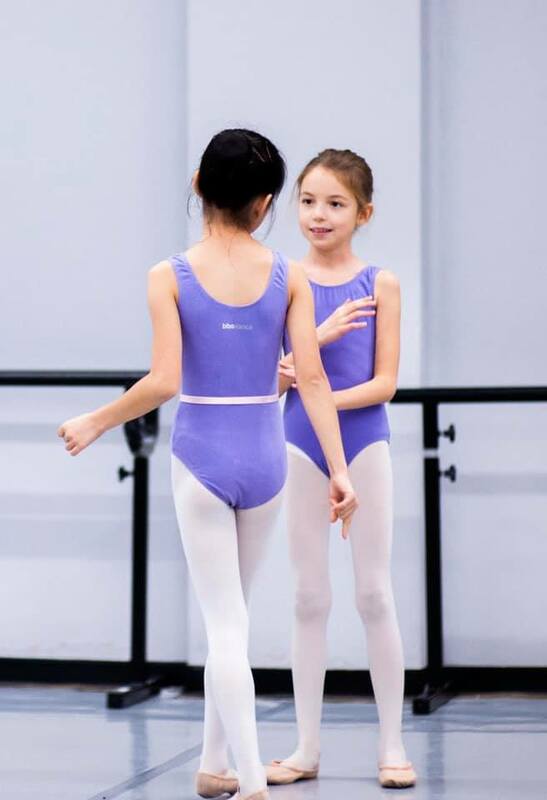 bbodance: what one piece of advice would you give your students? Anya: It’s so easy to get discouraged when you’re young, I see it a lot with young male students especially, so don’t let the views of others deter you. Do what motivates and inspires you. Find positive influences where you can. 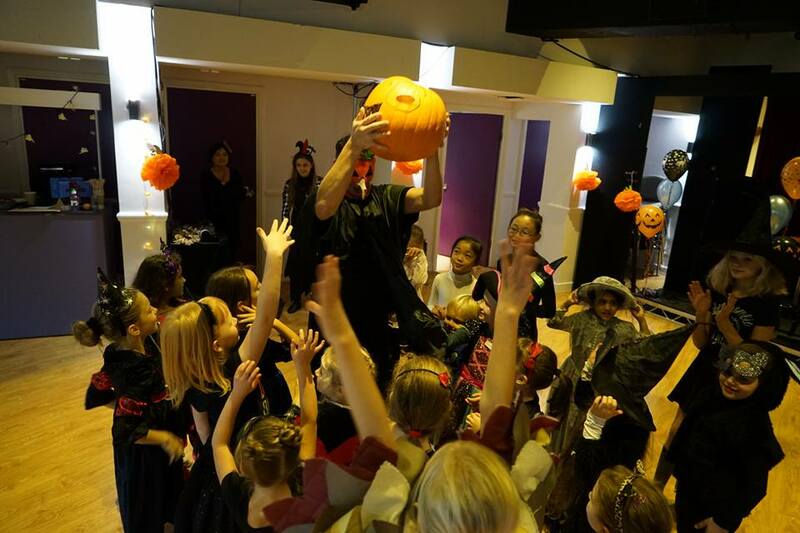 bbodance: in what way has the bbodance Teaching Qualifications course supported your teaching practice? 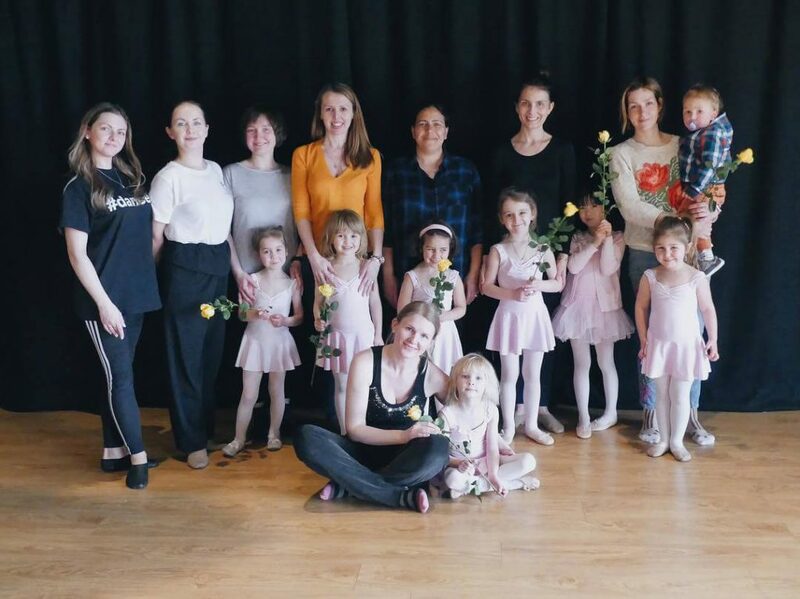 Anya: When I first enrolled I wasn’t sure what to expect- learning to teach is so different to learning to dance. What I really loved was that bbodance doesn’t prescribe just one style of teaching. The training is all about developing a teaching style that works for you and your students. It’s a rounded course that covers business development, marketing and the changes in our cultural landscape. It really helped me develop how I teach, so I can adapt my approach to the unexpected. 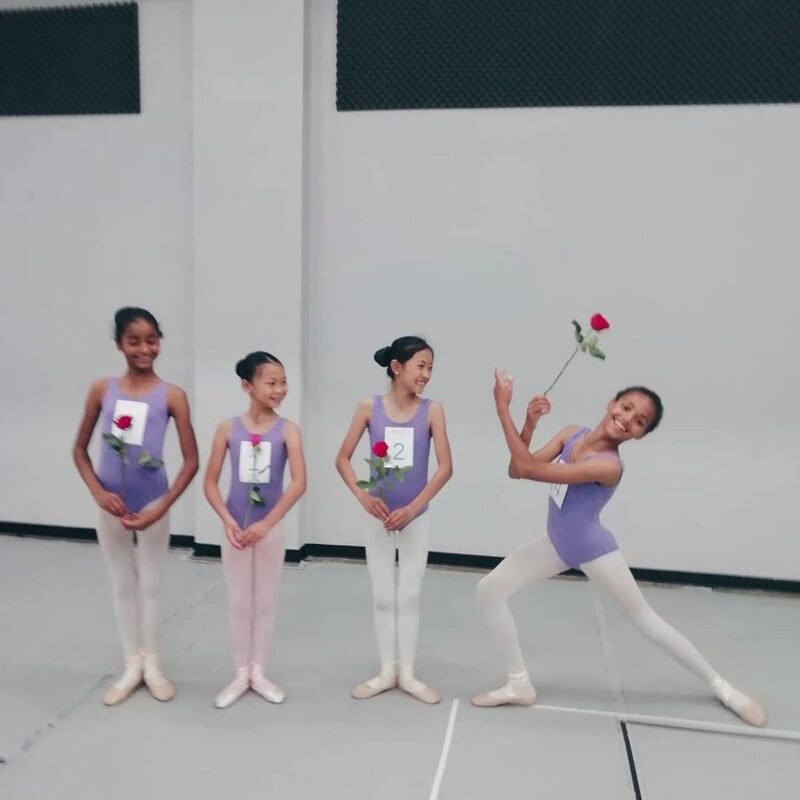 bbodance: do you have any teaching role models? 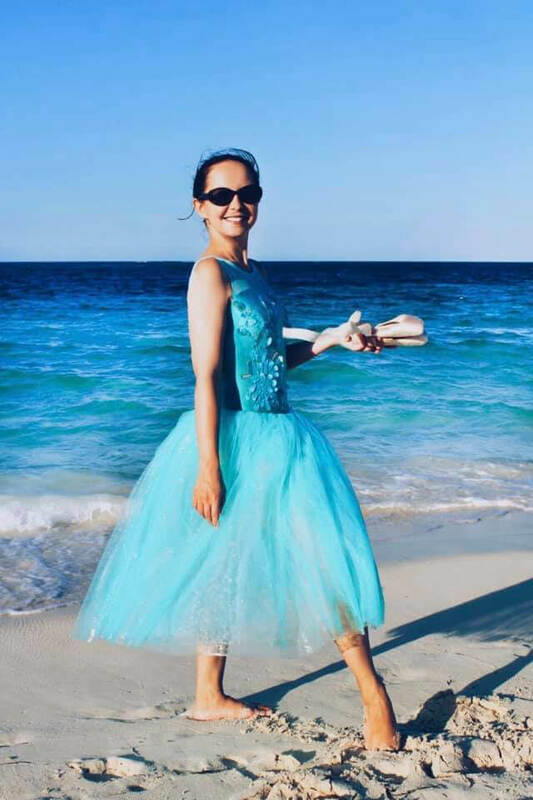 Anya: many Russian teachers, but one in particular is Miss Irina Eghorova. 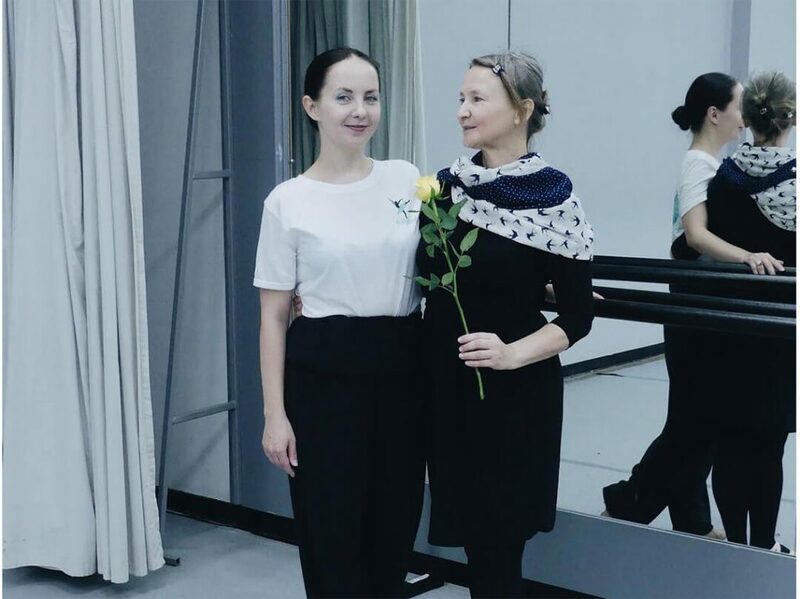 Irina was my very first teacher and someone who “started” all of this for me. Another very special teacher is Judy Breen, with whom I took classes for some time. Judy was my mentor while I studied with bbodance. Now, I am a guest teacher at her school in Sussex- I owe her a lot. bbodance: what are your future plans and goals? Anya: Hmm, in Russia we say it’s bad luck to talk about future plans. However, what I can say is that my plans are true to what we’ve discussed. I will keep refining my teaching style and the capabilities of my amazing teaching team. A lot of it will be through CPD. I want to unlock of the potential of every child, so I think my journey will never end. We are thrilled to announce that ‘Progressing Ballet Technique’ is part of our schedule from September; an innovative programme for students to achieve their personal best in ballet. Students will gain a better understanding of how to engage the right muscles to improve their form and fitness. 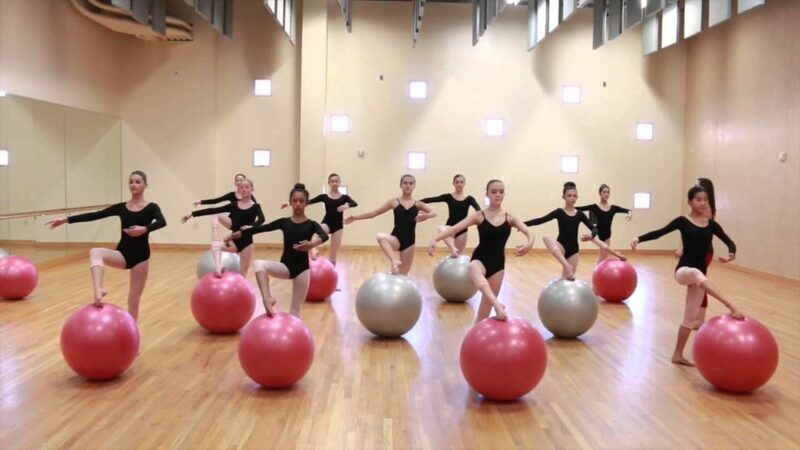 Before long students will see huge improvements in their stability, strength, posture and balance…. plus it’s immense fun! 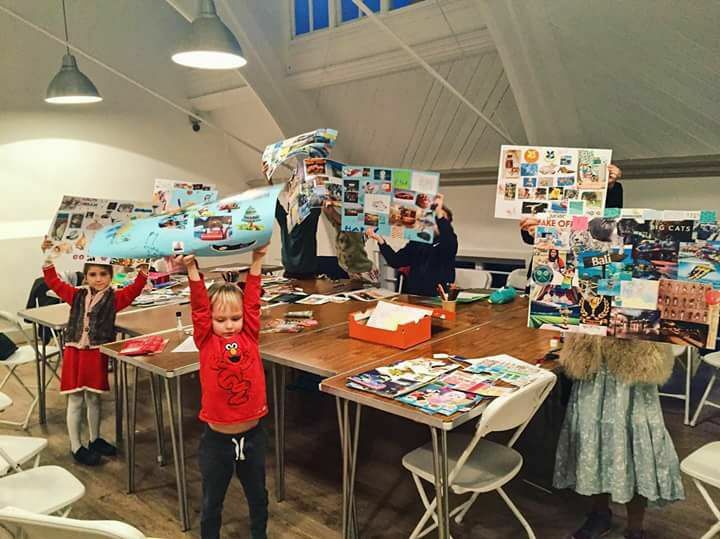 We’ll be offering classes for children (7+) and adults. Places are limited. If you’d like to know more about these exciting new classes and register your interest, then please contact us. The end of our first year at Skylark School of Dance and what a fantastic one it’s been! Congratulations to all our amazing students for successfully completing their first year. You all did so well and we are incredibly proud of your achievements! Now it is time for holidays and a well deserved rest. Enjoy the summer break and we look forward to seeing you all back in September. 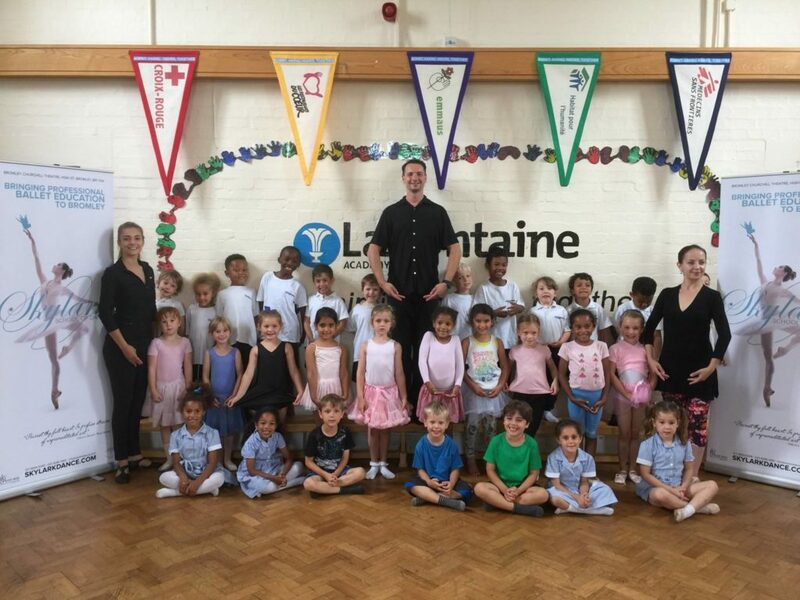 On Wednesday we held ballet workshops at La Fontaine Academy. What a wonderful school full of amazing students and teachers. We hope to see you again soon! 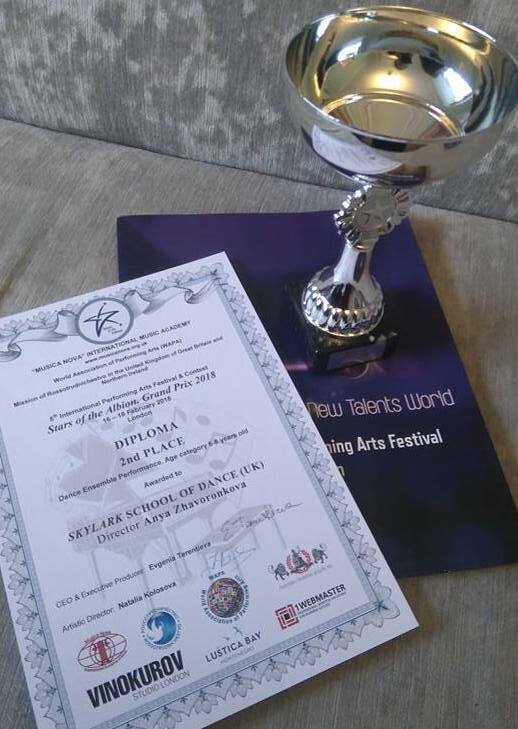 On Sunday Skylark School of Dance was recognised for a wonderful achievement; our director Anya was awarded One Dance UK’s first ever ‘Rising Star’ Teaching Award! 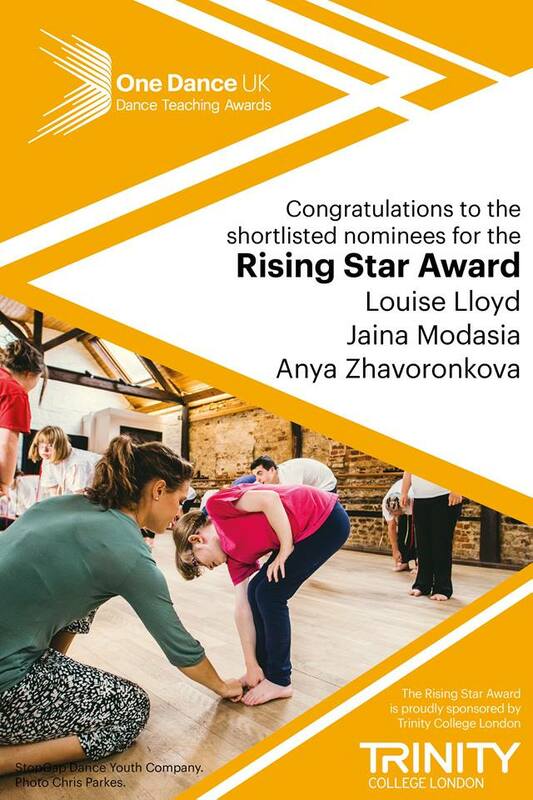 “I’m truly touched by this award, especially with the amazing work that Louise and Jaina [SIC – the other ‘Rising Star’ nominees] have been doing in the world of dance. I want to thank all of you at ‘One Dance UK’ for this selection. 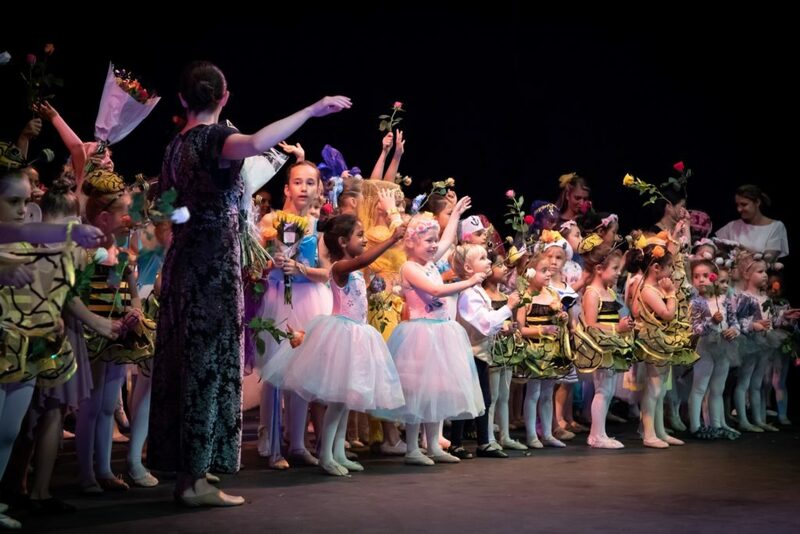 Skylark School of Dance’s first year has been a blur; a few mats in a civic hall, now a school of 70+ students, working with Bromley’s national theatre. 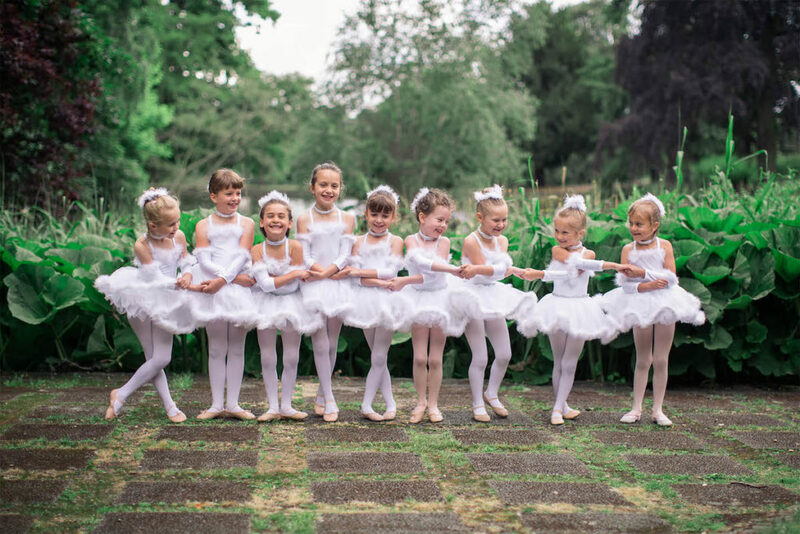 I work hard – nearest and dearest would say “too hard” – but the collaborative spirit of everyone involved and their desire to turn Bromley into a wellspring of ballet-talent, has been instrumental to our success. 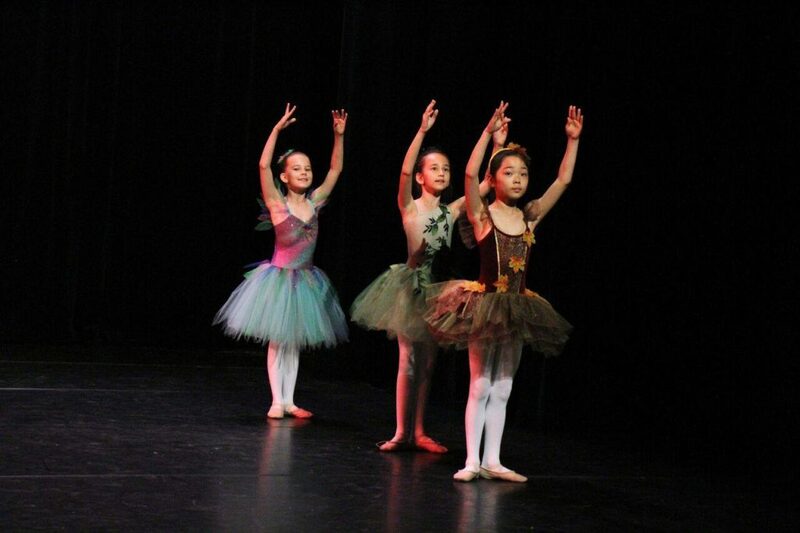 Congratulations to our Skylarks that took part in this Saturday’s performance at La Fontaine Academy! We are all so incredibly proud of you, it was amazing! Next stop, Churchill Theatre. 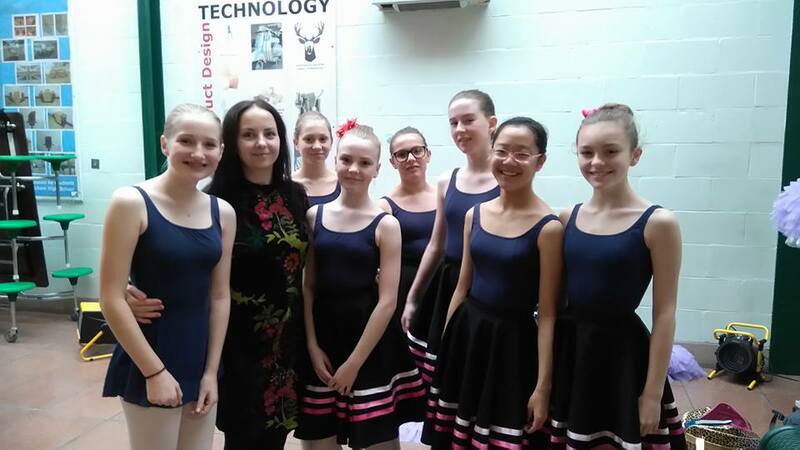 Today we were privileged to gain our accreditation to teach Progressing Ballet Technique, with the amazing Callie Roberts. Such an incredible programme and we can’t wait to share what we learnt with our students. 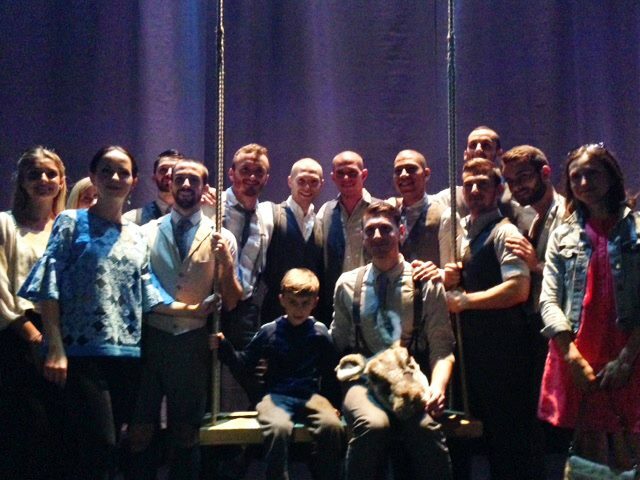 Our ballet boy meets Balletboyz! What an honour to meet them backstage on their last tour date in UK. 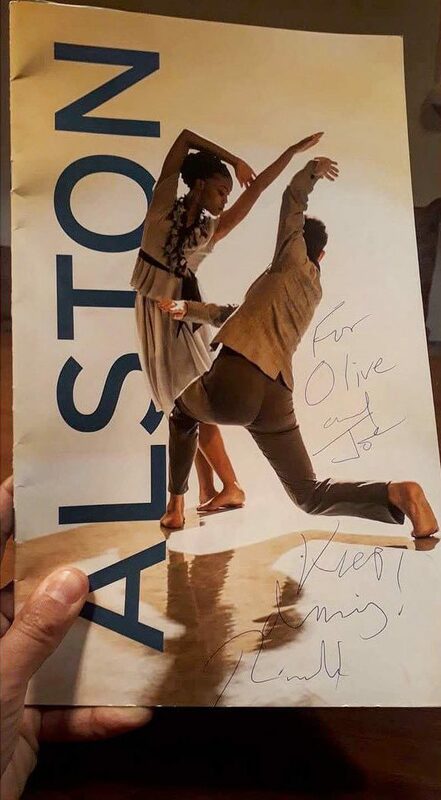 A special thank you to the artistic director William Trevitt for giving us an insight into their amazing world. A truly spectacular performance! 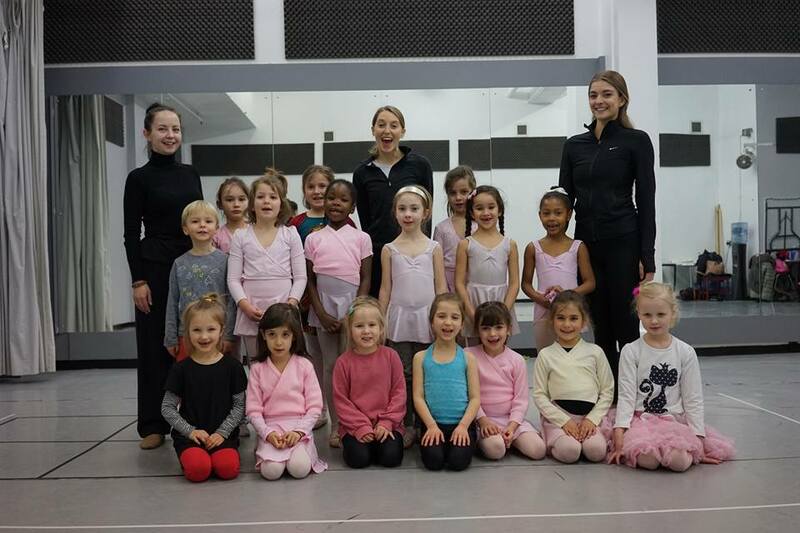 Today, Anya was back at the Hampton Ballet Academy, teaching these wonderful students; such great dancers to work with. A special thank you for this invitation to the director of this amazing academy, Judy Breen, Anya’s mentor and an inspiration. 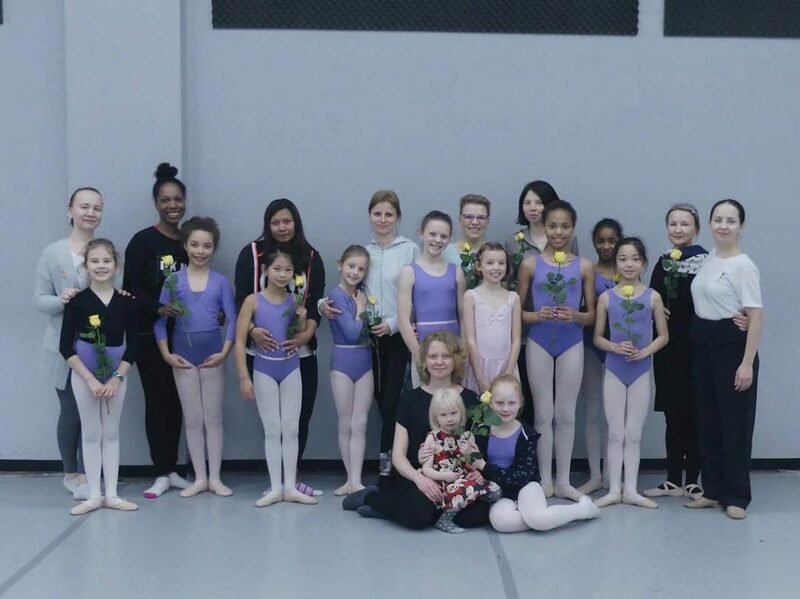 Today our students meet the Moscow City Ballet! A fantastic start to the new term! 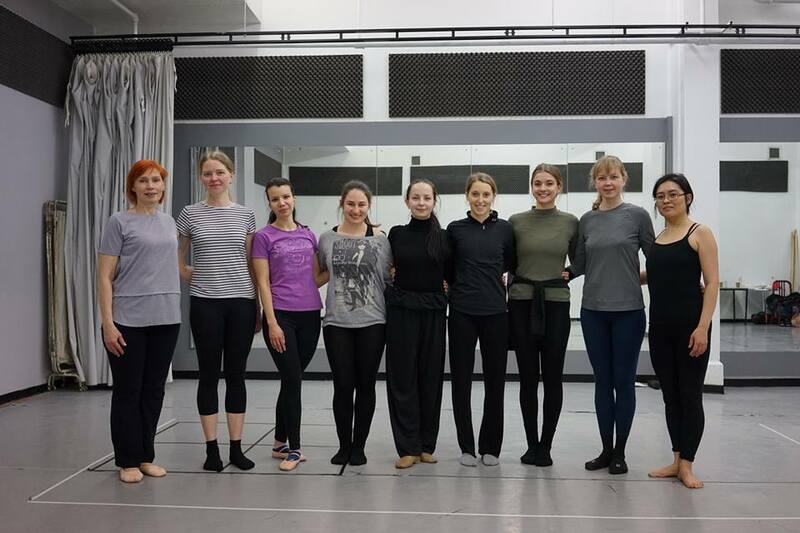 Today our students had a wonderful opportunity to meet the Moscow City Ballet dancers and watch the company’s rehearsal. 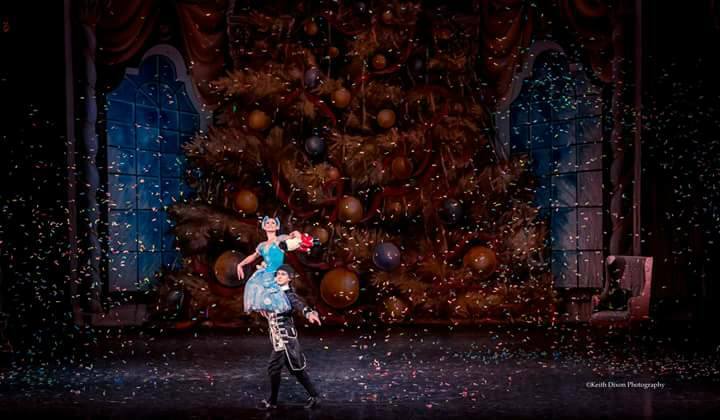 We are also privileged to be able to watch them perform two iconic ballets this week, ‘Romeo and Juliet ‘ and ‘The Nutcracker’. Such an amazing source of inspiration! We had the honour of being invited to celebrate the 30th Anniversary of the ‘People Dancing’ Foundation for Community Dance yesterday. Hosted at the legendary Cecil Sharp House in London, this memorable evening celebrated the unique successes of community and participatory dance and looked forward to an exciting future. We are very proud to be involved in an organisation that believes that dance can change lives and transform communities. 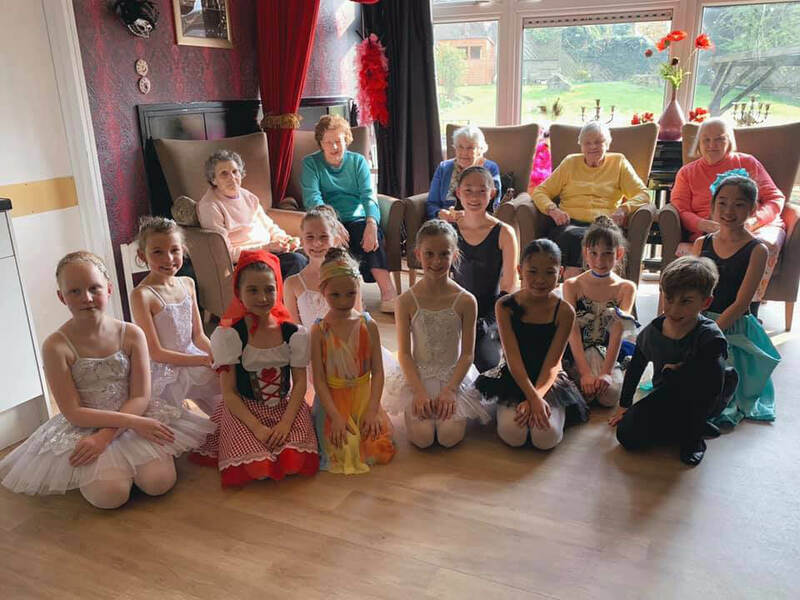 We share their vision of a world where dance is a part of everyone’s lives and our mission is to make dance important to all individuals, communities and society by promoting excellent dance practice. 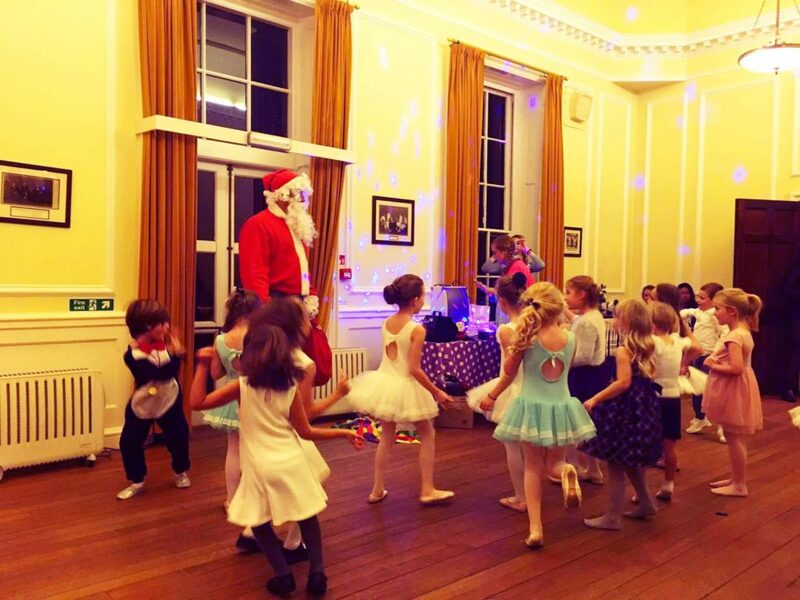 Thank you to everyone who came to Skylark School of Dance’s Christmas party, celebrating the festive period and our first term of classes. It’s hard to believe that we only started a couple of months ago! As director, I want to thank all our wonderful students, “the skylarks”, their supportive parents and our fantastic team; without them there would be no school. I feel truly blessed to be working with such amazing people. I hope that everyone gets some rest and has a lovely time over the Christmas school break; I look forward to seeing you all in the New Year. We’ve got lots of exciting stuff planned for next term! Today we celebrated our first milestone; our school has been open for one month… and what a month it’s been! We marked the occasion by staging our first performance in collaboration with the Churchill Theatre. Thank you to all our wonderful students, parents, theatre staff and the school’s team for their hard work, support and enthusiasm; you were all amazing! It was great to see our little skylarks flying high, congratulations!